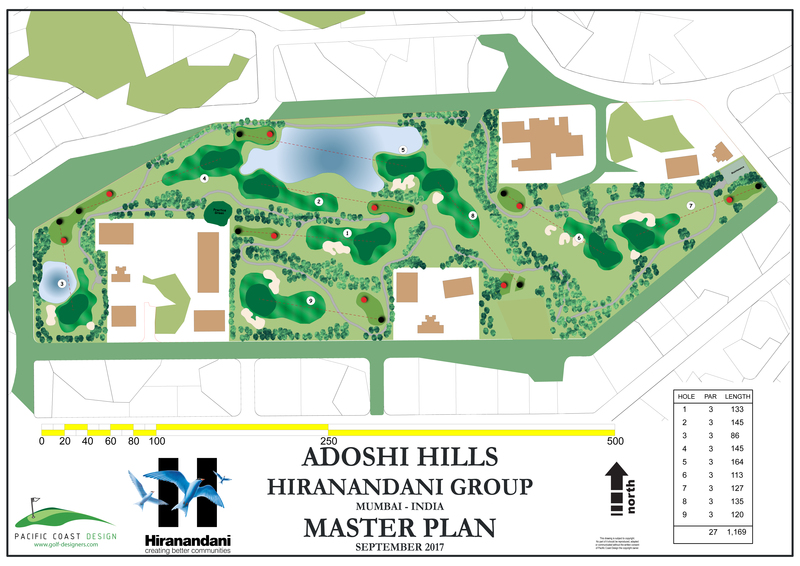 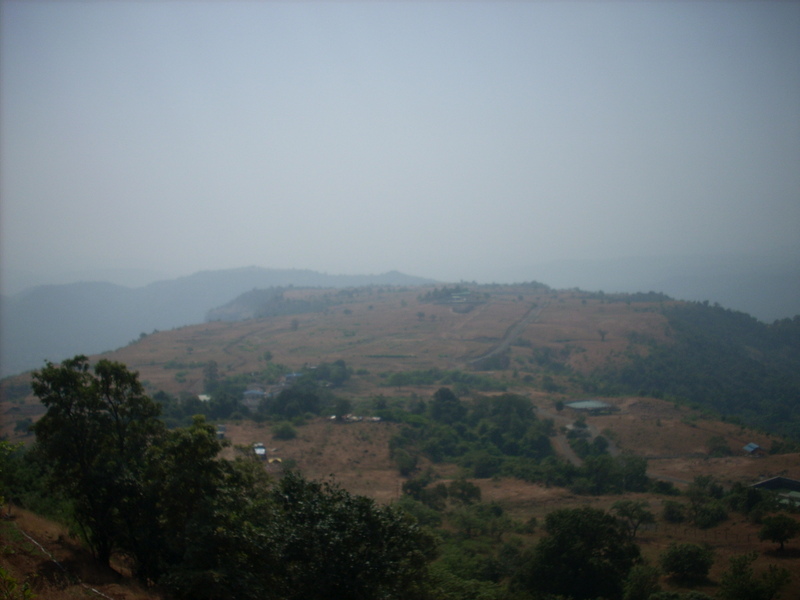 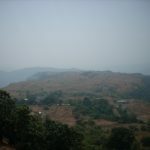 PCD have Master planned “The Oxford” golf resort as part of the larger Knowledge City Project which includes a University and township set among nearly 1,000 acres laid out along a magnificent valley just beyond the Pune – Mumbai expressway (15 minutes from university circle and 2.5 hours from the international airport in Mumbai). 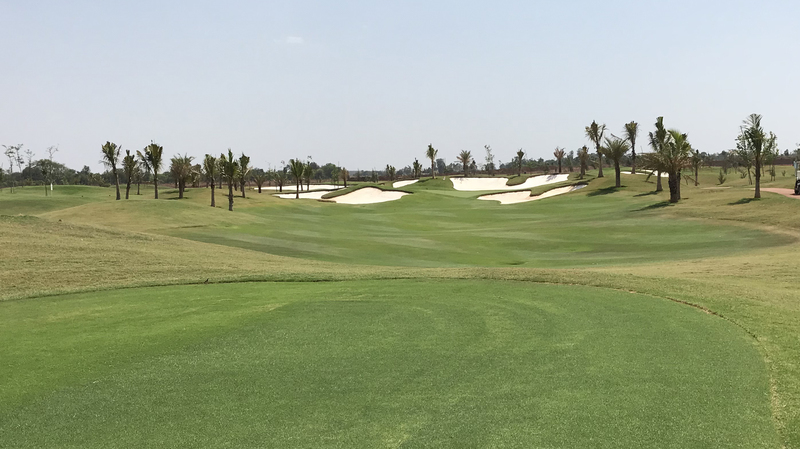 The resort includes a 150 room hotel, specialist spa, conference facilities, country club, three level golf academy (under lights) and an 18 hole golf course layout of Par 72 of 7020 yards. 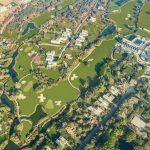 As part of the resort zone will be 300 unique villas in a range of cluster designs set into the hills overlooking the golf as well as Apartment towers. 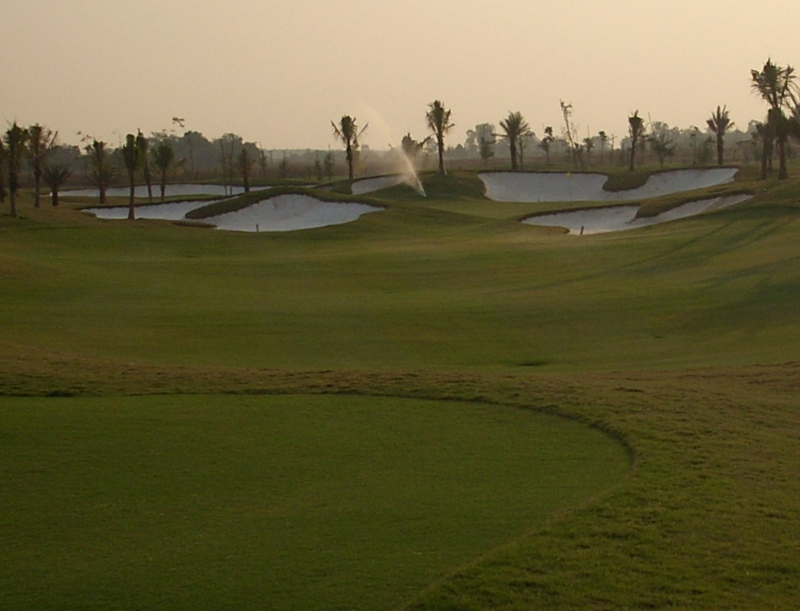 Since construction was completed in 2009 “The Oxford” has been regularly voted one of the top golf courses in India. 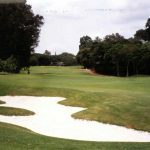 The Oxford is a challenge to golfers of all levels but one that every golfer can enjoy as the fairways, bunkers and greens are all kept to a magnificent standard. 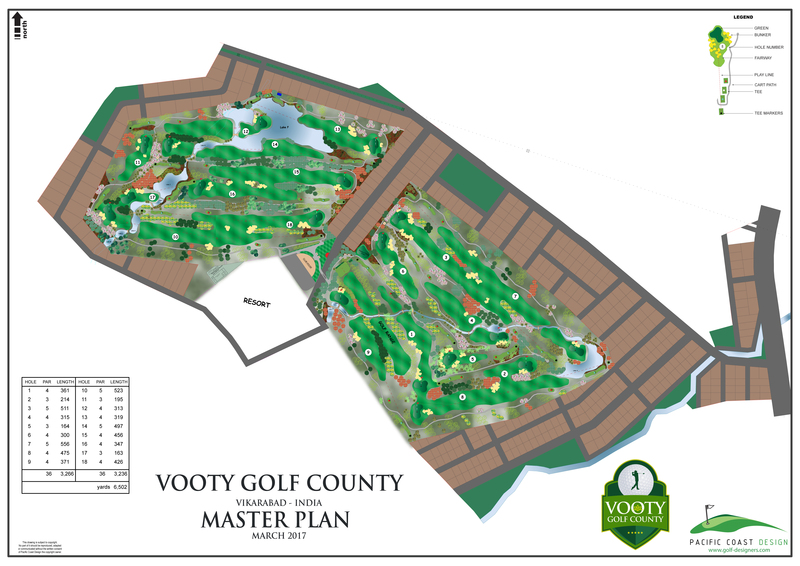 Vooty Golf Course is part of a exclusive township development, set to the east of Hyderabad near the town of Vikarabad. 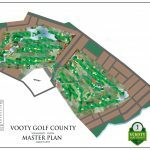 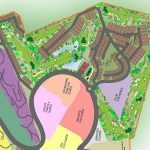 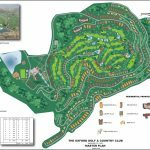 Being developed by the group who created the Dream Valley Resort, the course is designed to show how much fun 6,500 yards can be. 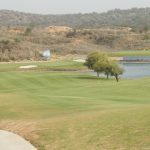 With many risk / reward opportunities the course offers numerous scoring opportunities while hazards and tricky greens will catch the foolhardy. 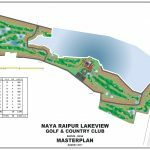 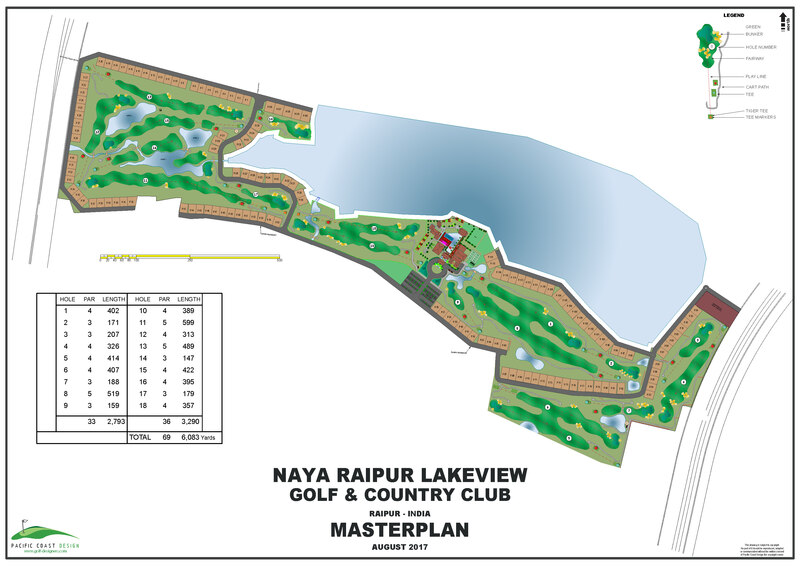 Pacific Coast Design master planned and detailed designed a new residential / resort 18 hole golf project in Raipur. 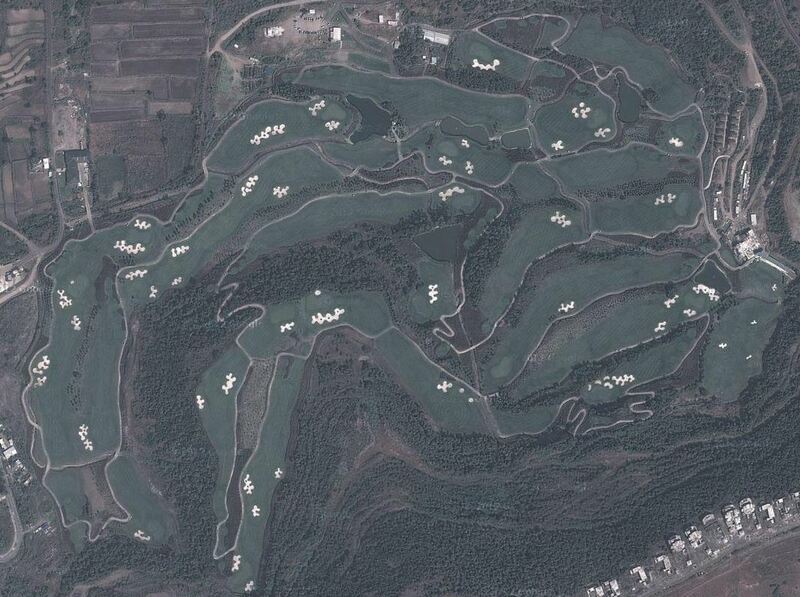 The course will be a fine example of how challenging yet how much fun 6,000 yards of golf can be. 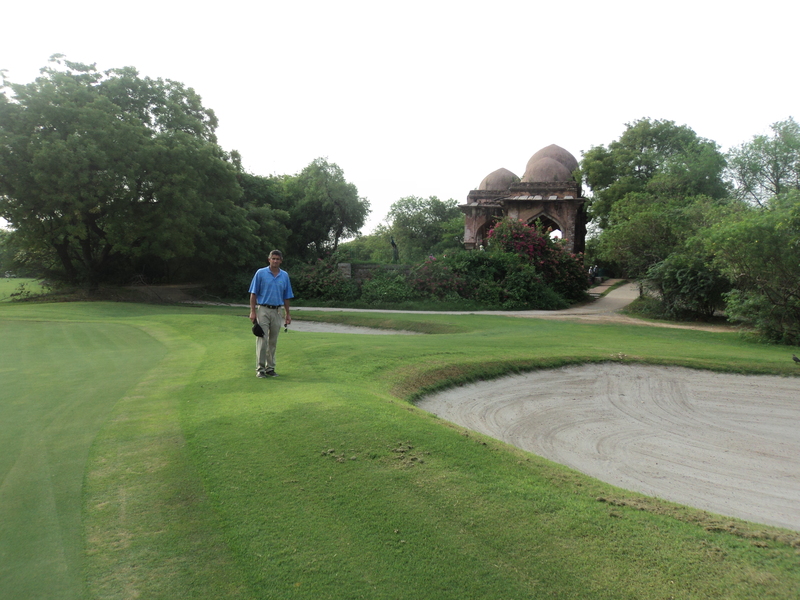 With water, bunkers and risk / reward opportunities the course has a spice about it not found in many modern golf courses. 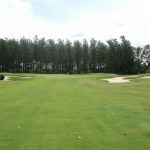 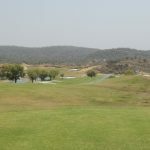 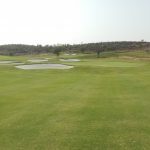 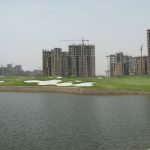 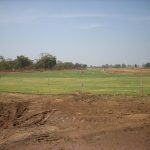 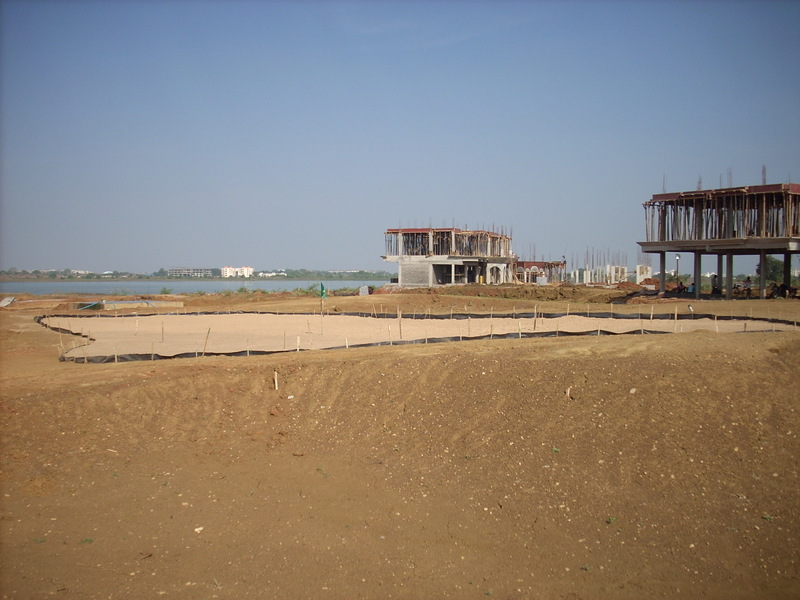 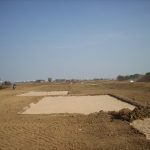 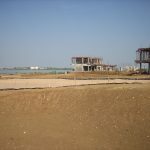 Silverglades Golf Development Company (www.sgdcindia.com) is undertaking the golf course project management, construction and ongoing maintenance of this project. 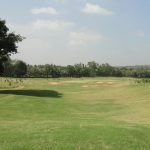 Eagleton is an 18 hole Residential / Resort Golf Course about 32 kms from the centre of Bangalore along the Bangalore / Mysore Road. 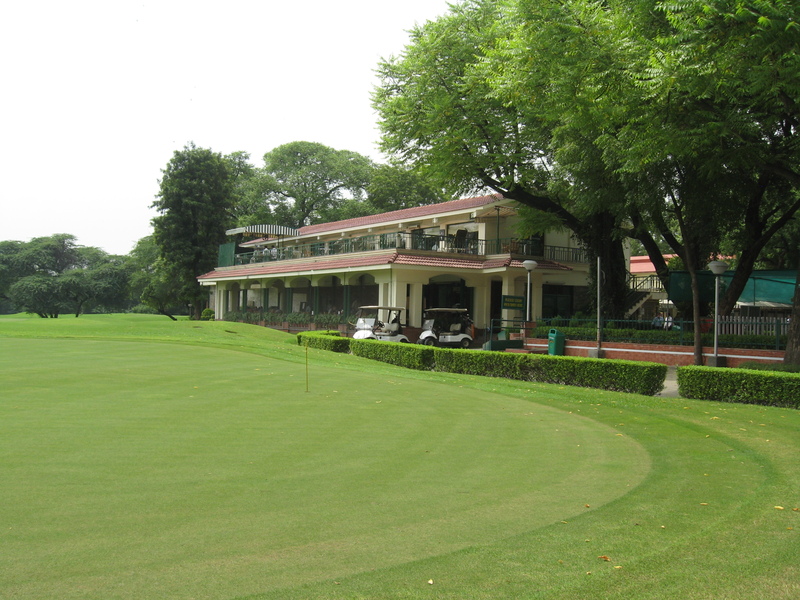 The golf course and country club opened in 1998. 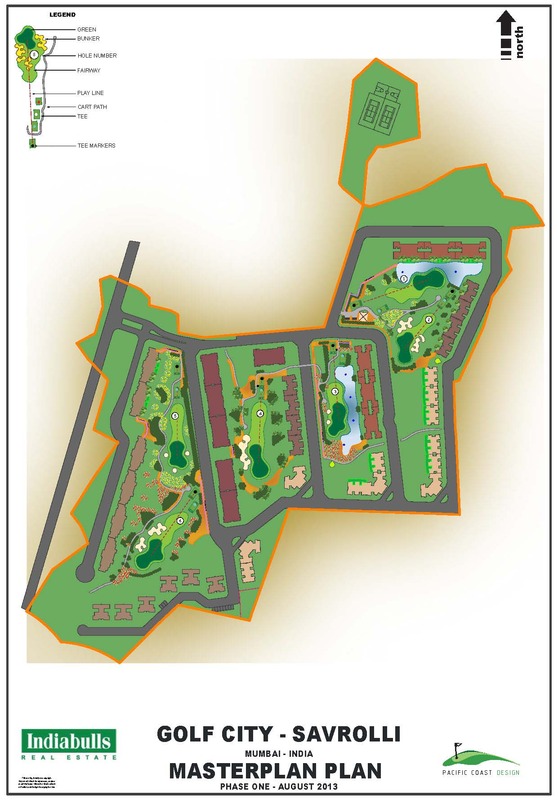 The project also includes a hospital, 650 residential sites, boutique hotel, Golf Academy, school and sports recreation club. 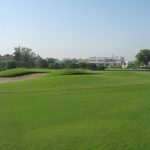 The Par 72 golf course layout over 168 acres of land with extensive landscaping is now acknowledged as southern India’s best golf course. 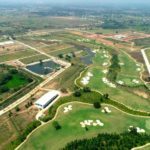 A new residential style golf course development located only 40 minutes from central Bangalore in the heart of a booming residential land development district. 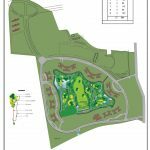 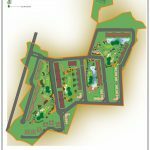 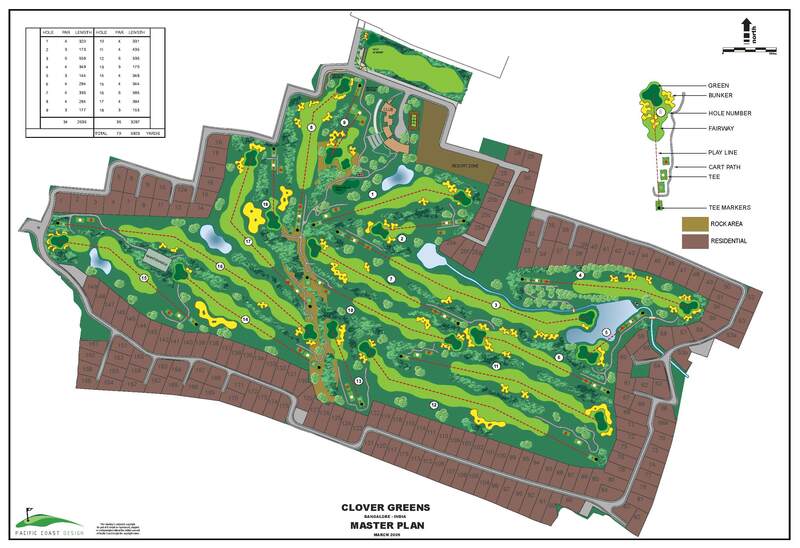 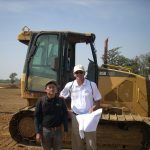 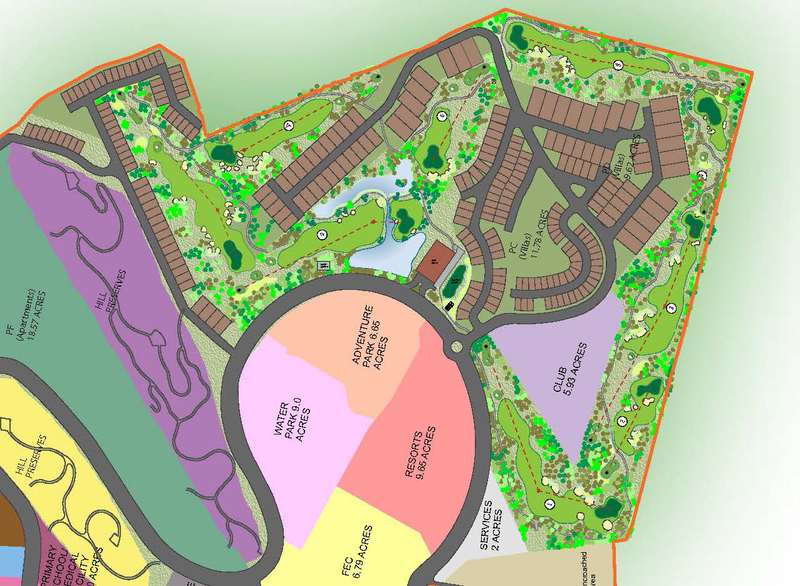 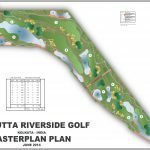 PCD were appointed in 2006 to Site Master Plan the residential layout as well as design the 18 hole golf course. 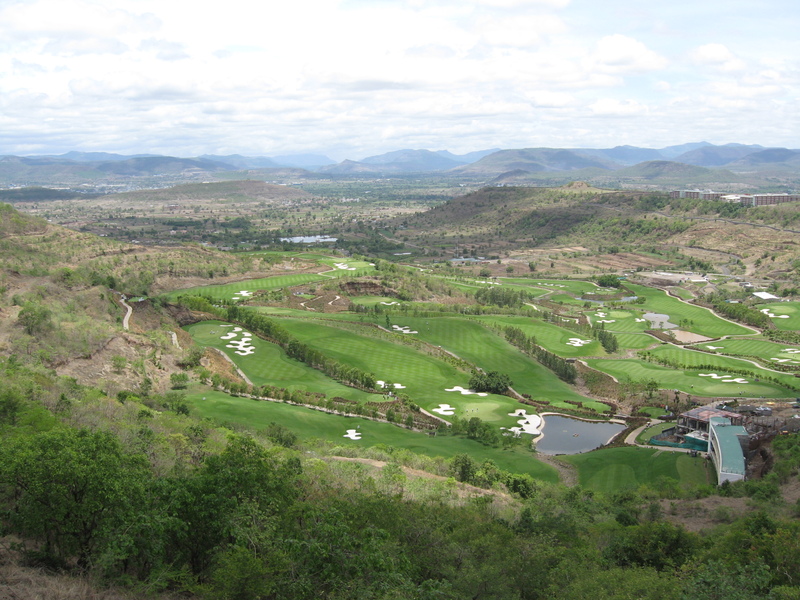 The site has a unique character of a central ridge line of protruding rock which golf holes have been positioned within and around the large rock outcrop that provide a stunning backdrop to greens and elevated platforms for tees. 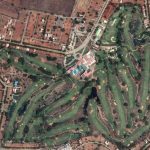 The golf course is positioned centrally within the compact site and is a Par 70, 5923 yards and designed to international standards. 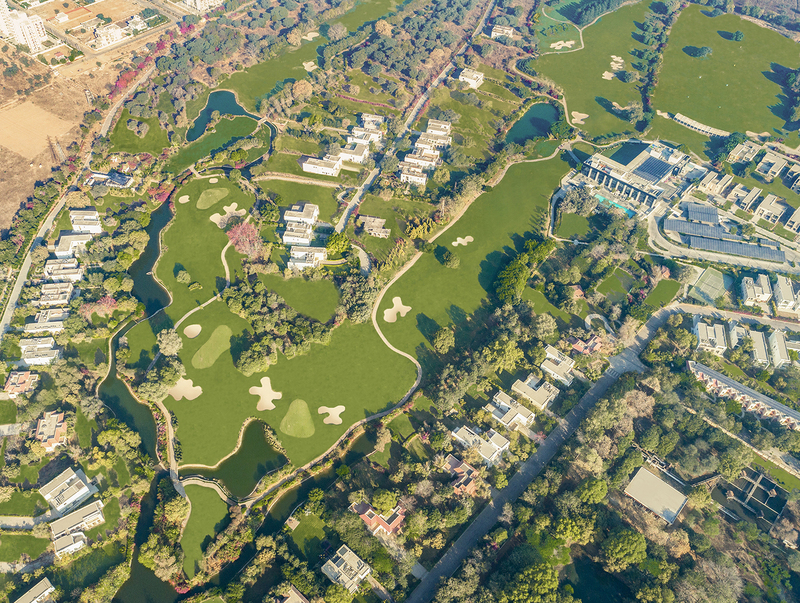 The residential areas are placed around the perimeter of the golf to maximise the potential of golf views and the natural landscape experience associated with the golf course. 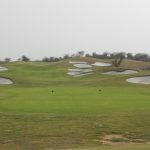 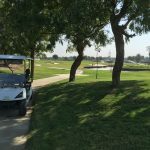 The Course was opened early in 2009 and has resulted in being a challenging course with many risk reward shots or for the less adventurous of golfers an easier route to the green. 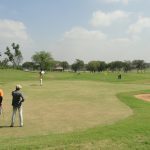 The course also boasts a 2 storey driving range, golf academy, swing analysis room, gymnasium, conference room and a snack bar. 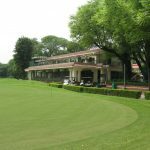 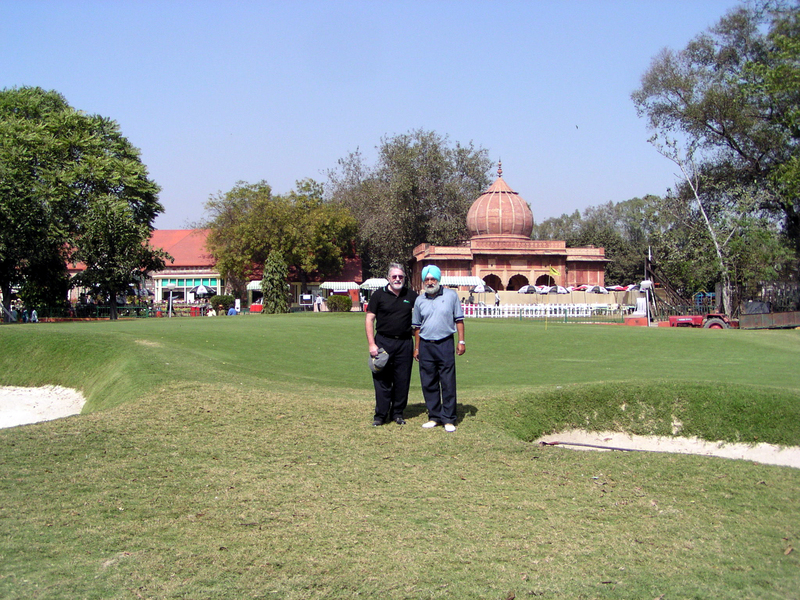 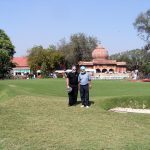 Delhi Golf Club is a private members golf and is one of the oldest and most prestigious courses in India with over 3,300 members. 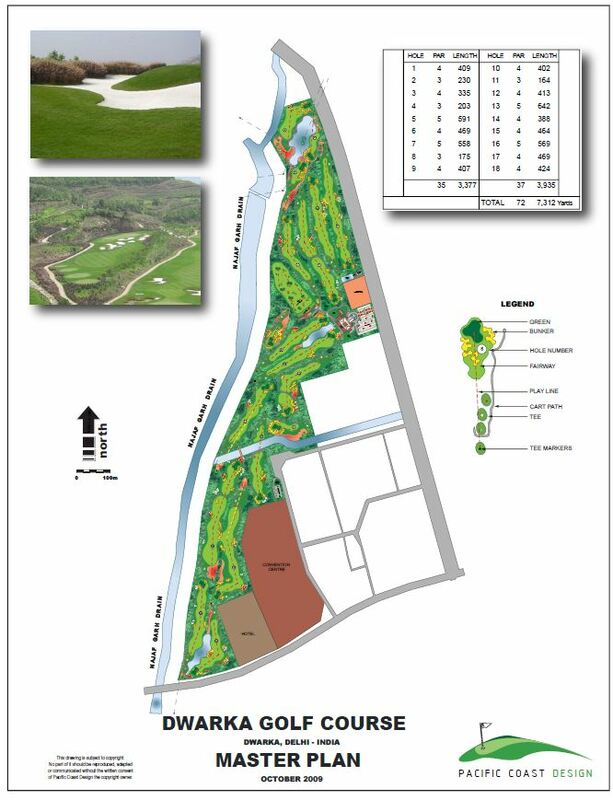 The course has changed many times over the many years it has existed but much has been done to keep the original feel and features of the course. 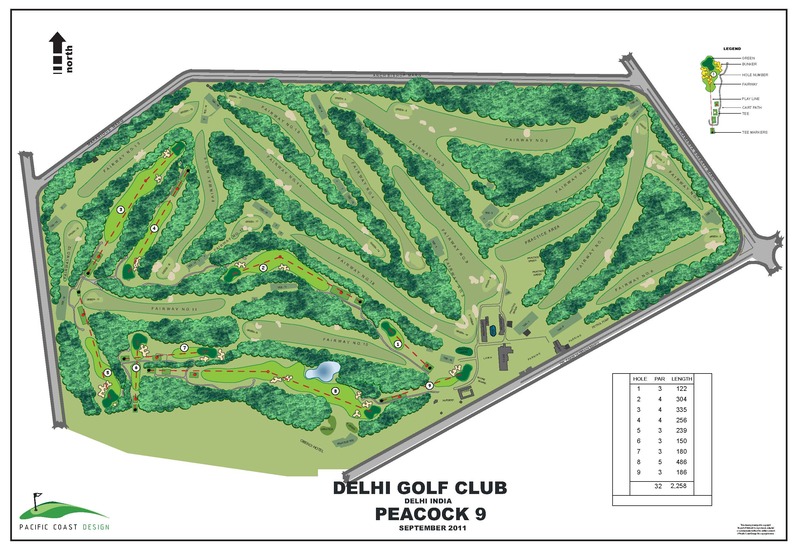 With technology gaining many yards over the years, PCD have been engaged by the club to redesign the Peacock 9 to get a better safety and strategy for golfers. 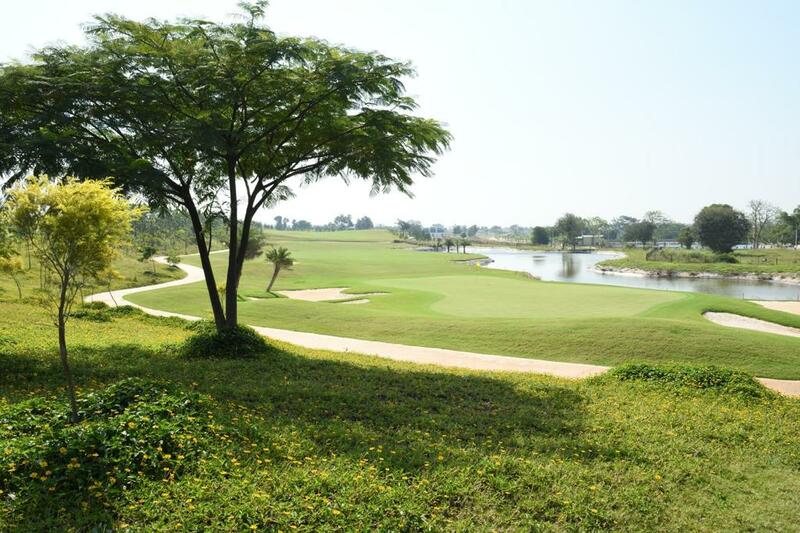 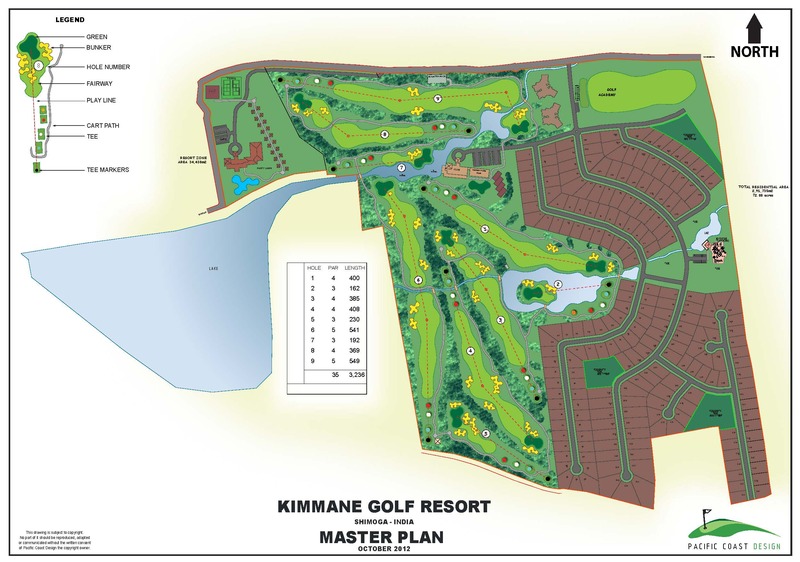 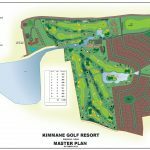 The golf course at Karma Lakelands is laid out among the residential areas and is a boutique 9 – hole layout of Par 33 of 2543 yards with a second set of different tees available if the golfer wishes to play 18 holes. 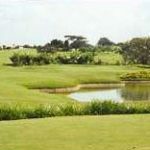 During the game the golfer is taken through well positioned lakes and a wonderful landscape which is shared by wandering peacocks, a variety of birdlife and even local deer. 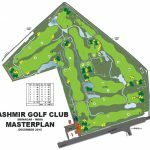 The course itself is a fun, challenging layout and offers a variety of interesting holes that present strategic options to all golfers. 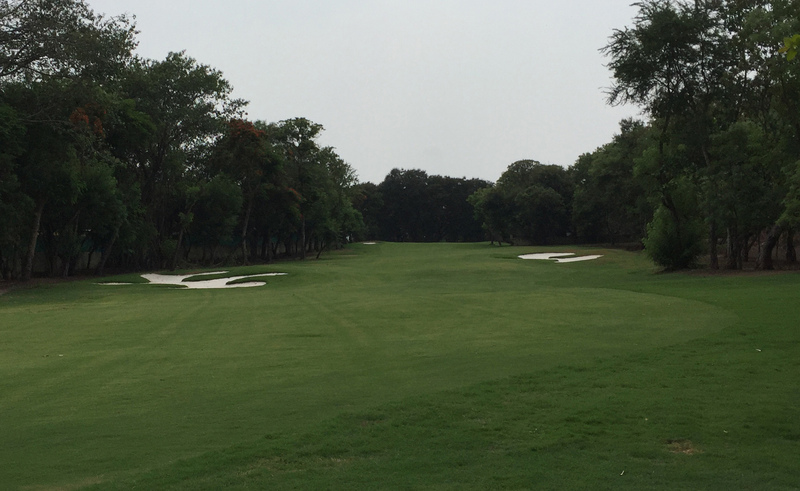 The 5th hole is a long par 4 that all golfers will find intriguing. 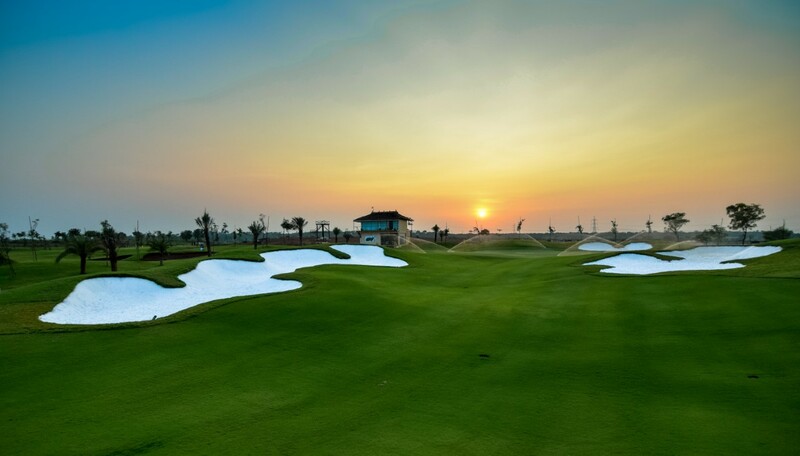 Measuring almost 400 yards the hole gently sweeps to the right around a group of bunkers located on the inside of the turn. 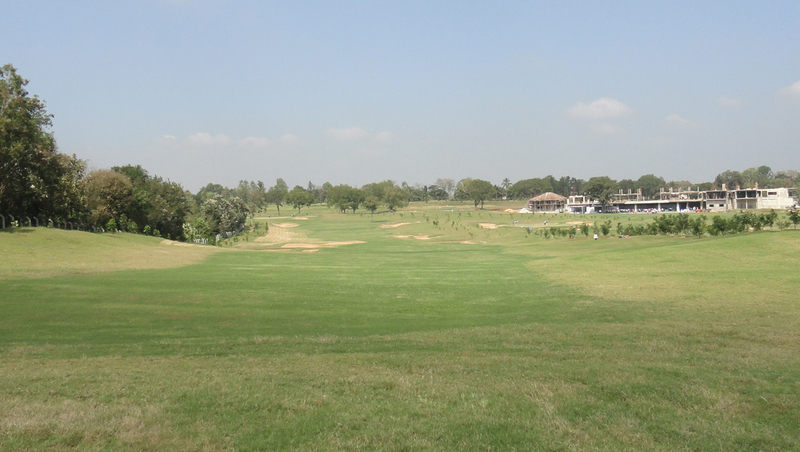 But the fairway is enormously wide and seems to draw players to play to the outside of the dogleg. 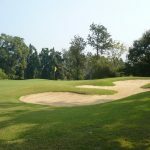 From this side of the fairway the approach shot is longer and has to contend with a large bunker that protects the left front of the green. 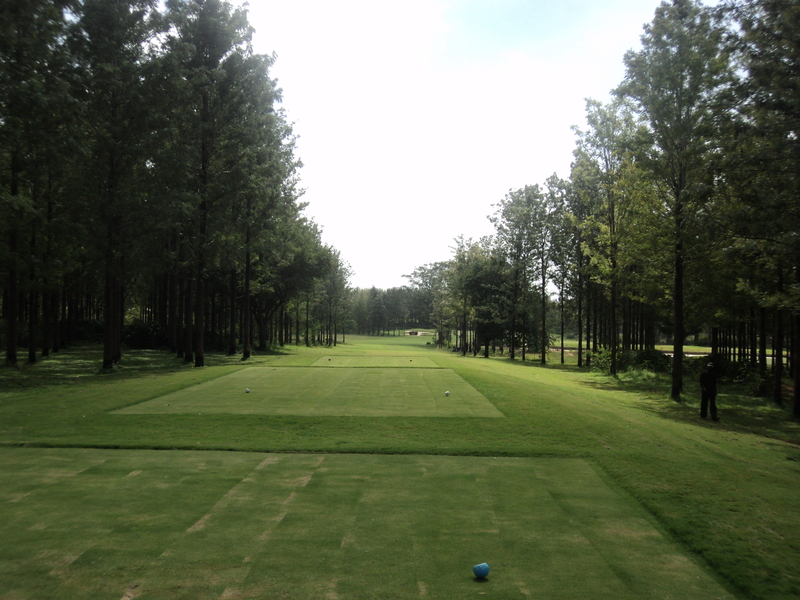 The 8th hole is a par 3 of almost 220 yards, it is rare to find a hole this long that is this much fun to play. 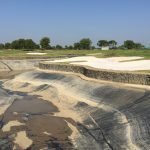 The front left bunker that protects the green is supported by a large mound that extends to a huge roll the covers the front left of the putting surface. 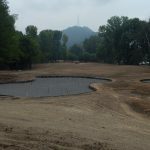 Combined with mounds at the rear of the green that give the back of the green a bowl like structure, golfers are challenged with a multitude of options to get near the pin. 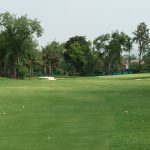 By running the ball onto the green with a low approach golfers can watch their ball snake its way to the hole with quite thrilling results. 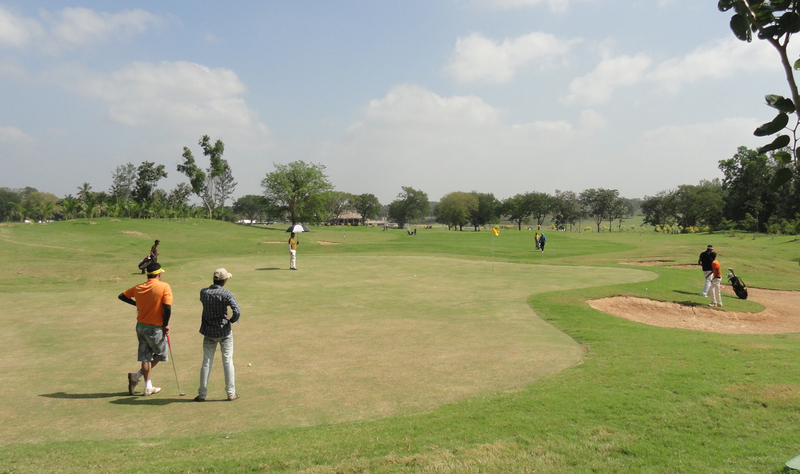 Developed in wonderful sandy country this 9 hole course will expose Indian golfers to a new golfing experience. 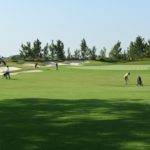 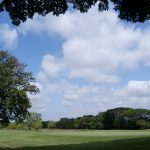 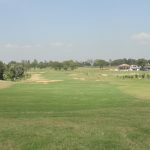 The golf course is part of a tourism project that is certain to attract golfers and tourists alike. 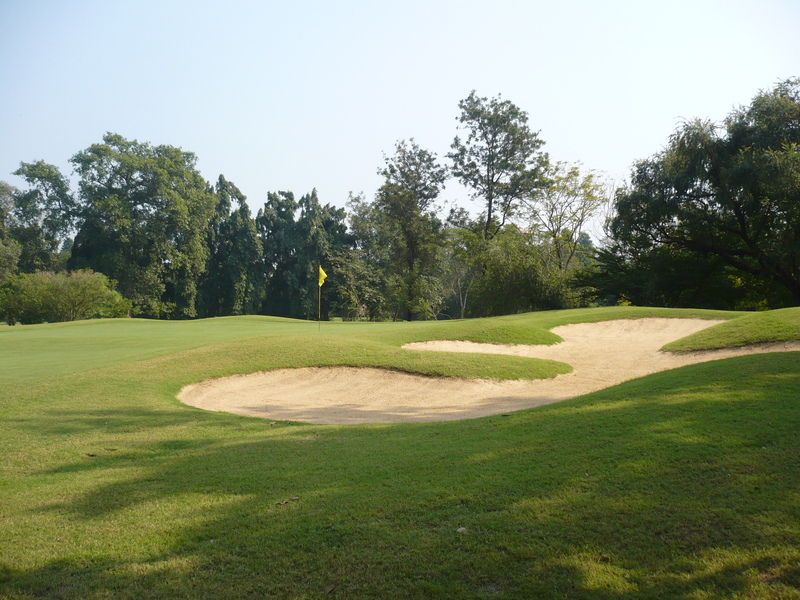 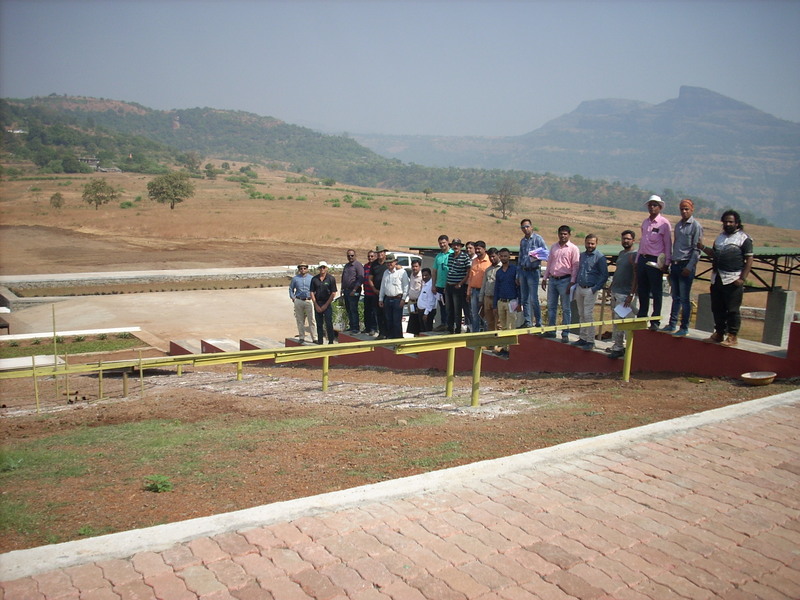 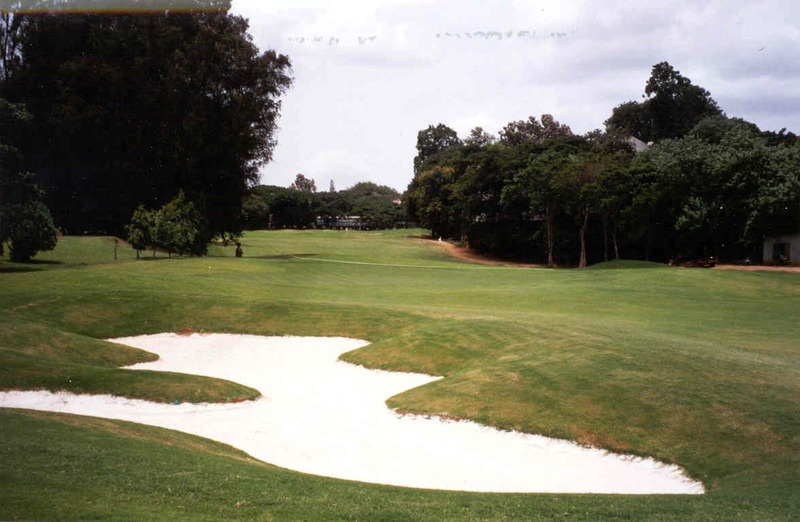 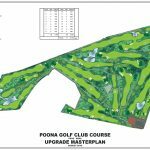 In 1993 PCD designed the original Poona Club Golf Course which opened in 1994. 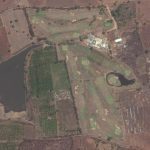 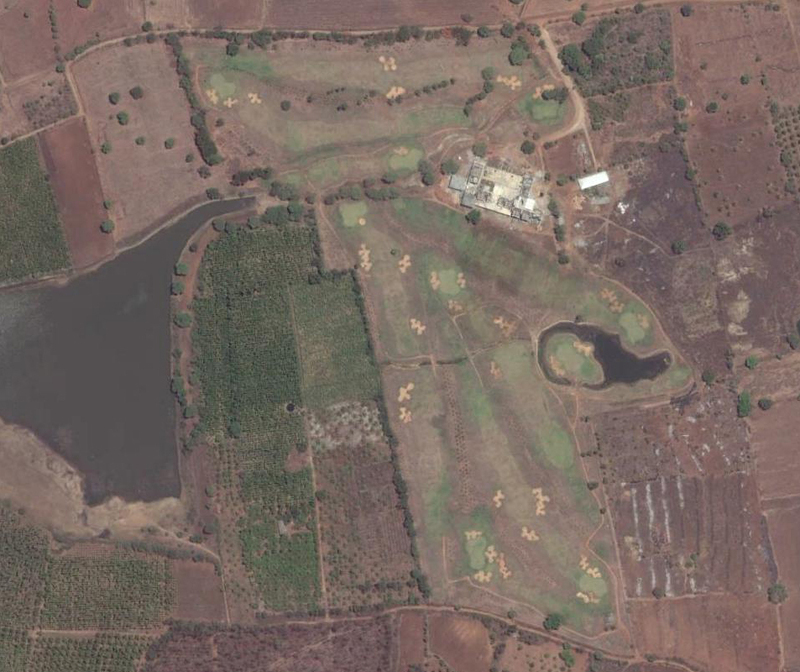 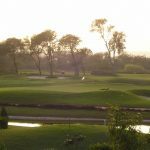 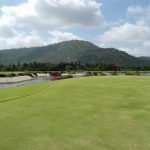 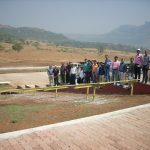 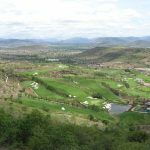 The 18 hole / Par 71 golf course was primarily built by hand with limited resources but provided a much needed golf facility in the city of Pune and membership soon grew to nearly 1,000. 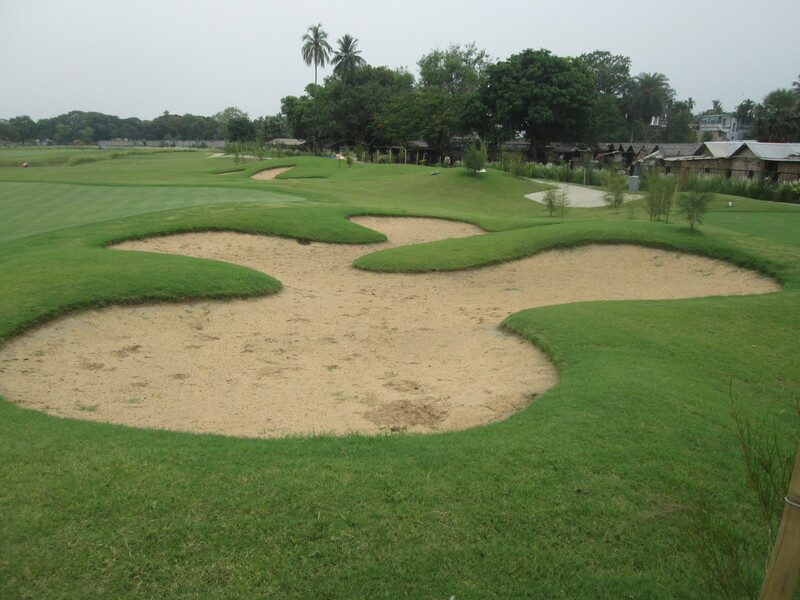 Fast forward to 2015 after 20 years and the Club again approached PCD to completely upgrade the golf course. 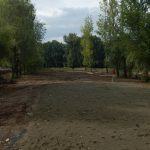 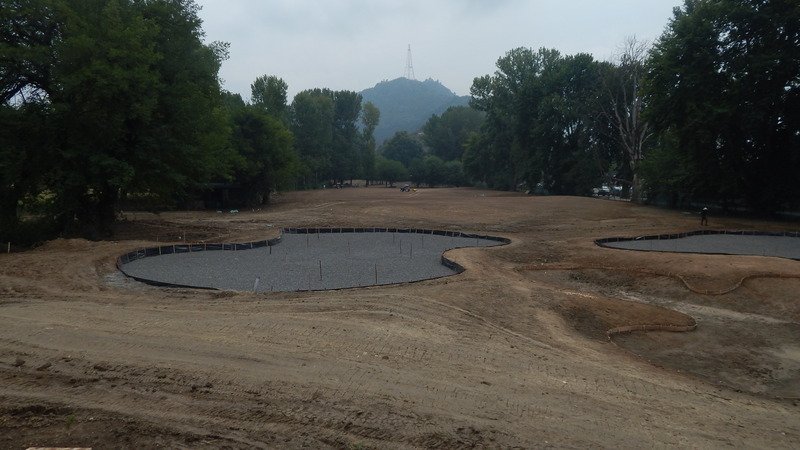 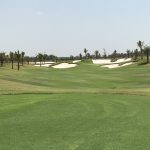 The proposal accepted by the Club from PCD involved two stages of nine holes each, all greens / bunkers and tees redesigned and redeveloped and all fairways reshaped with an additional 1,443 cubic metres of topsoil. 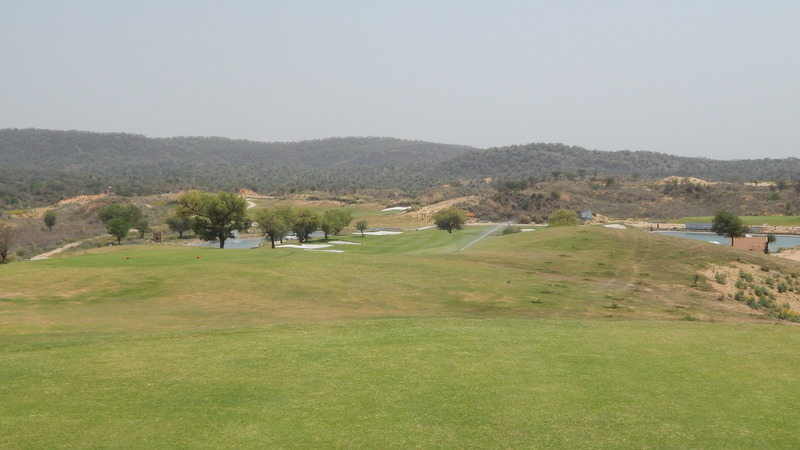 The first of the new nines opened in June 2016 with the second nine opened following the monsoon and the Club members are really enjoying the new conditions and layout. 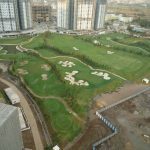 Blue Ridge is an exciting high rise residential development in the vibrant city of Pune which opened for play late in 2012. 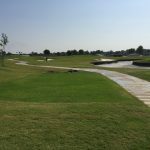 To compliment the golf PCD has designed a full length golf driving range / Academy which also doubles as a function / party lawn. 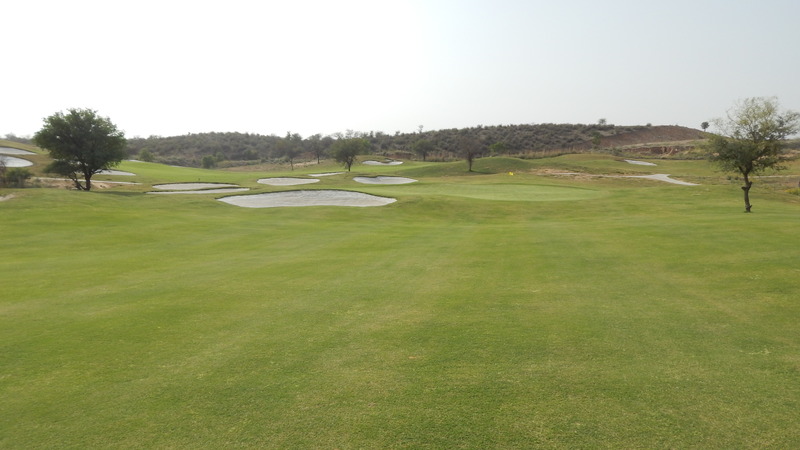 Holes 2, 3, 8 and 9 have water features either alongside or as a visual enhancement with the balance of the holes having dramatic movement and significant bunkering. 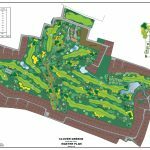 This is the third such high rise / golf project PCD has been involved in planning and provides economic return on the open space, exciting landscape statement and a great game of Par 3 golf. 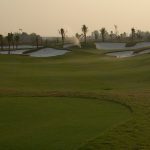 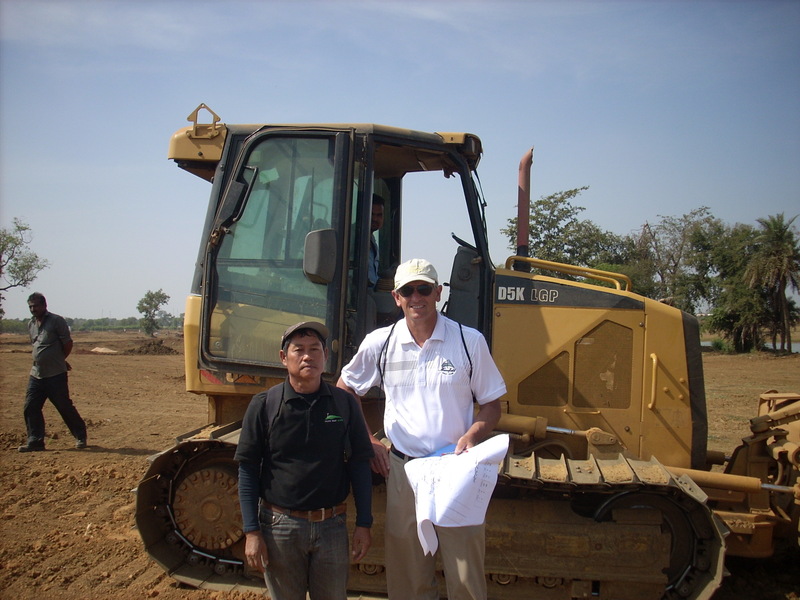 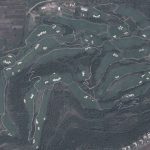 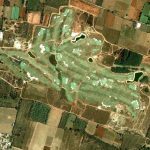 PCD had originally designed a nine hole golf course of Par 35, 2737 metres during early 2000 with construction works also completed that year. 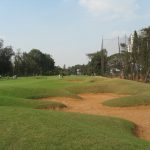 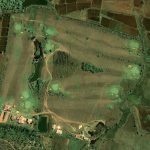 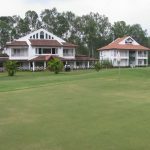 The Golf Course was funded by private membership organised through the Kadur Club in Chikmagalur but the Golf Course will also be opened to visitors. 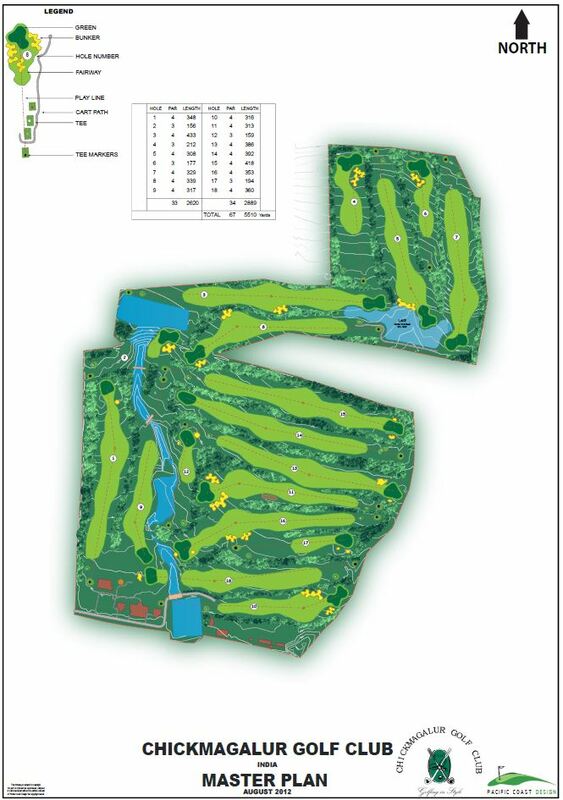 In 2012 the club decided to expand to a full 18 hole golf course, with PCD commissioned to undertake the golf course design. 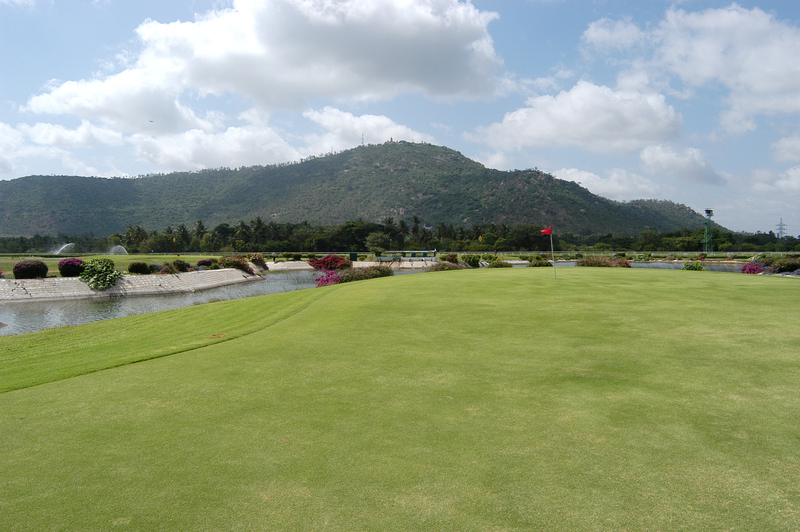 Chikmagalur Golf Club lies at the foothills of the Babubadanagiri Ranges across the Western Ghats which are simply breathtaking. 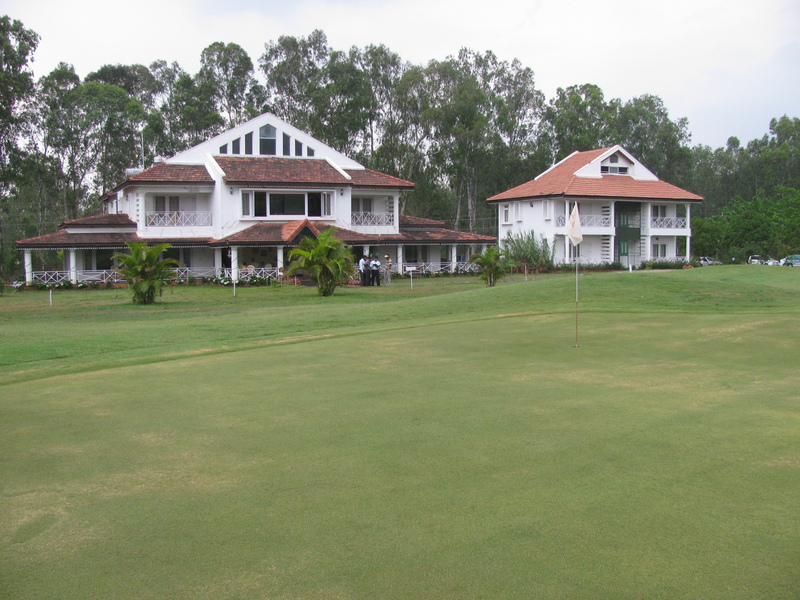 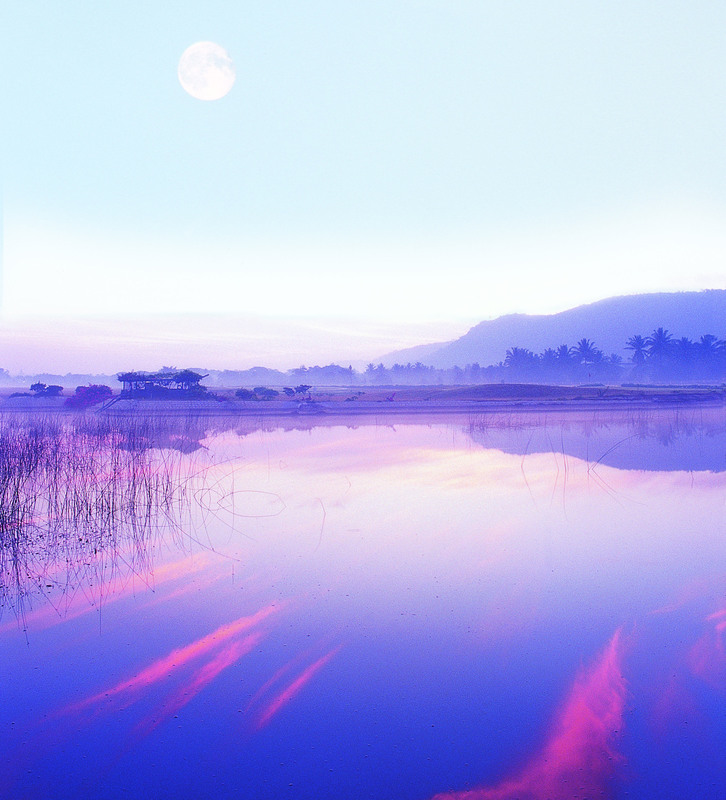 The course is approximately 10 minutes drive from the Chikmagalur town. 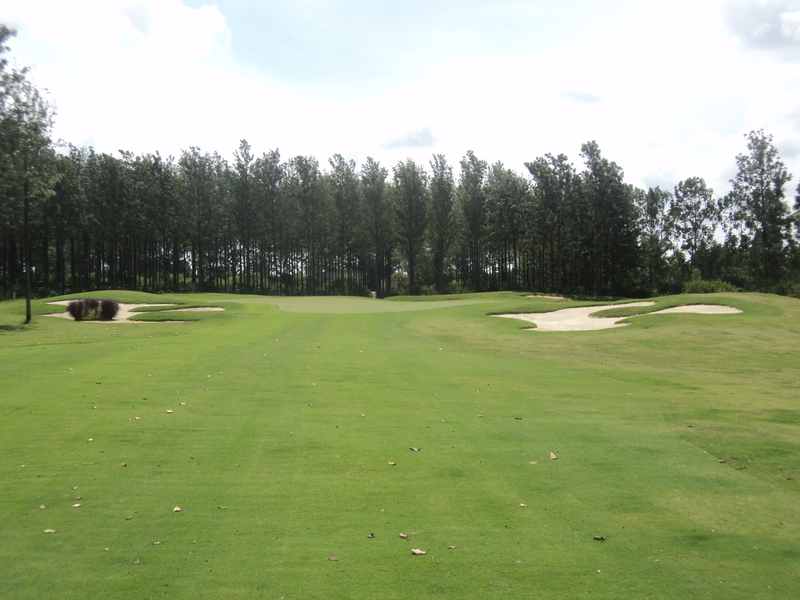 The golf course is a challenging and enjoyable experience with the second nine holes due to open in late 2014. 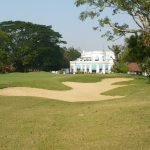 PCD has entirely redesigned this 18 hole Golf Course which is the oldest course in India, still on the same site (135 years old in 2011). 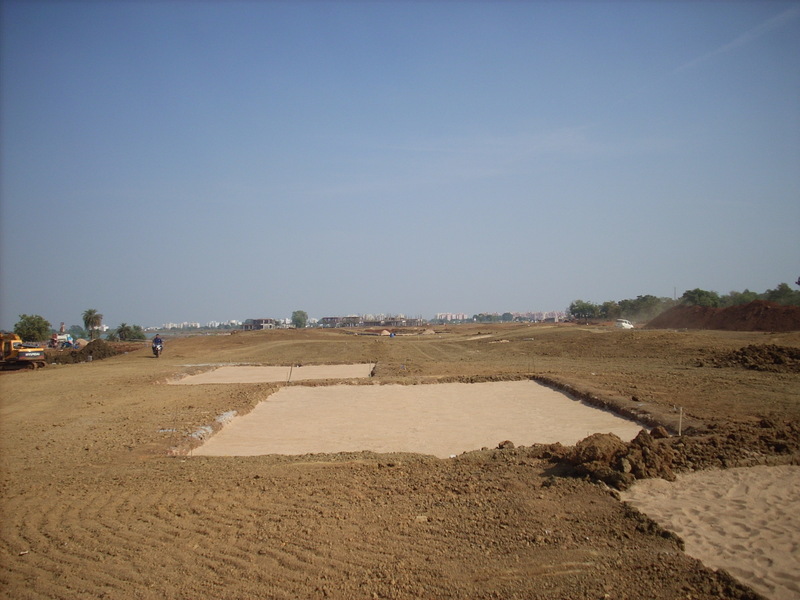 Reconstruction commenced in mid 2000, and the new layout is a par 70, 6161 yards. 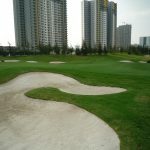 Despite the site being of a small area, the 18 hole golf course with some crossover holes is a picturesque and challenging one. 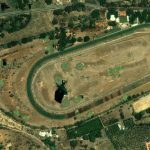 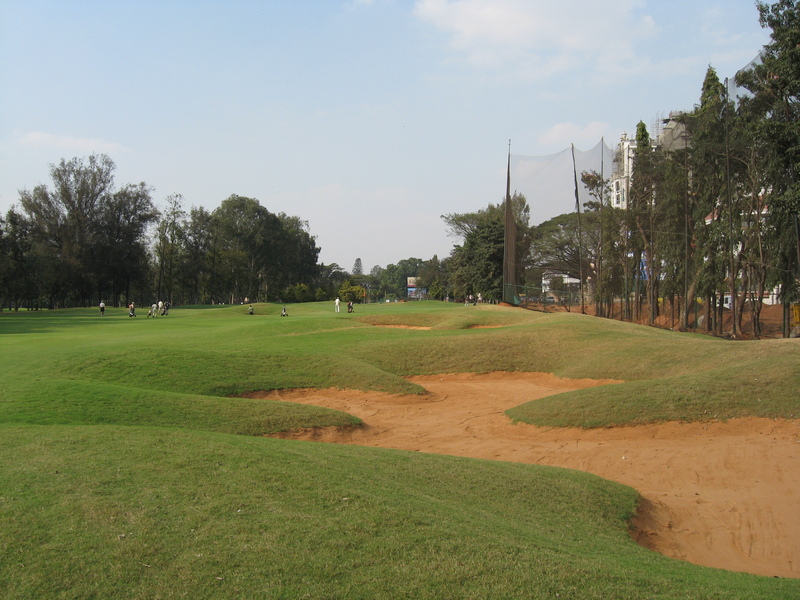 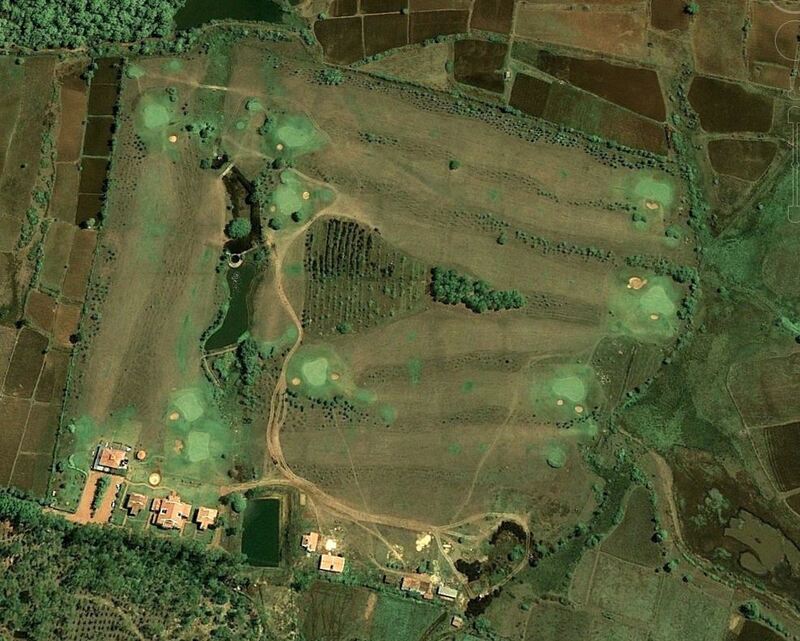 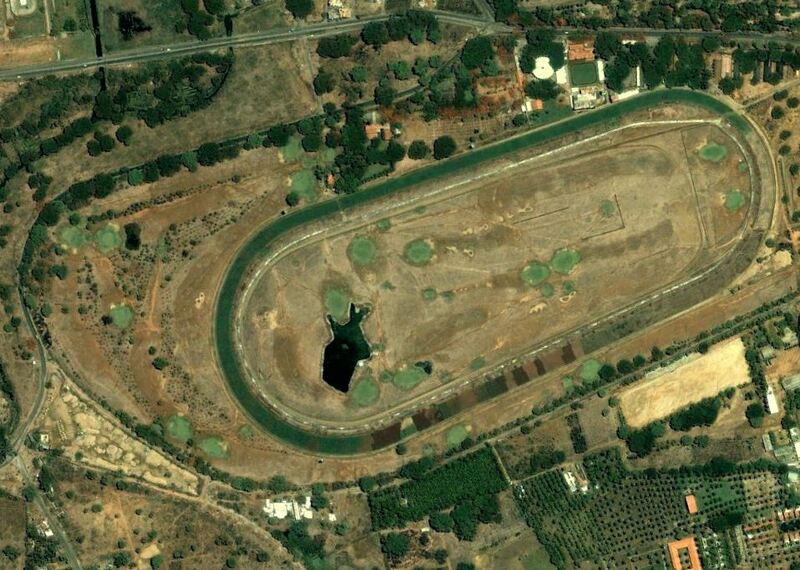 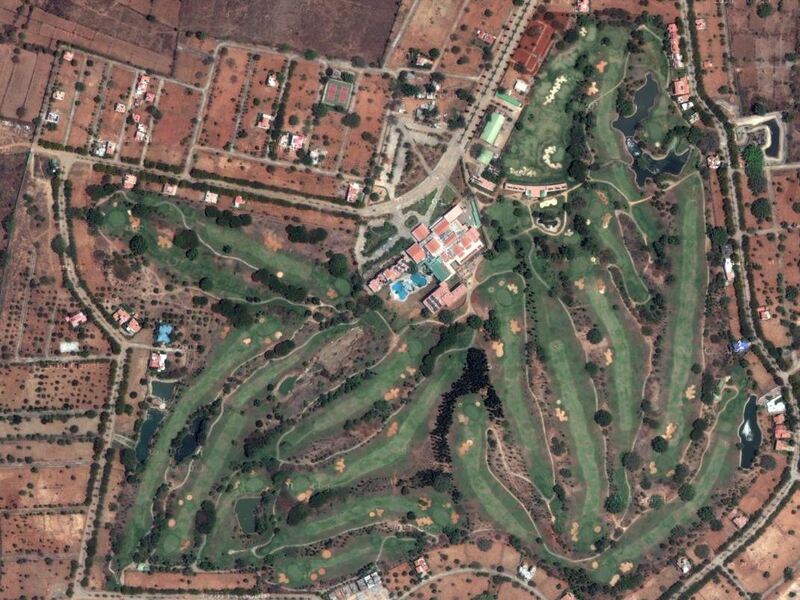 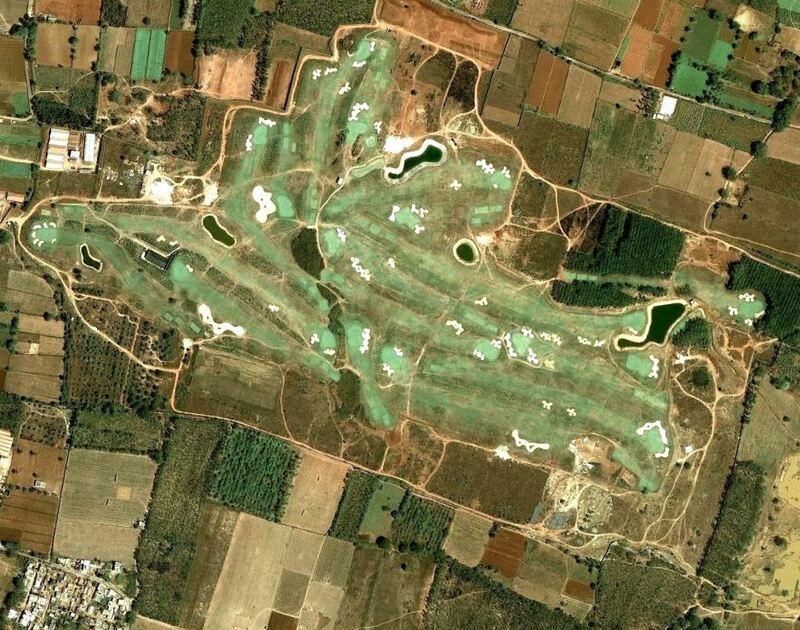 Nine Holes of this Course is based within the Mysore Racetrack with the other nine being around the outside. 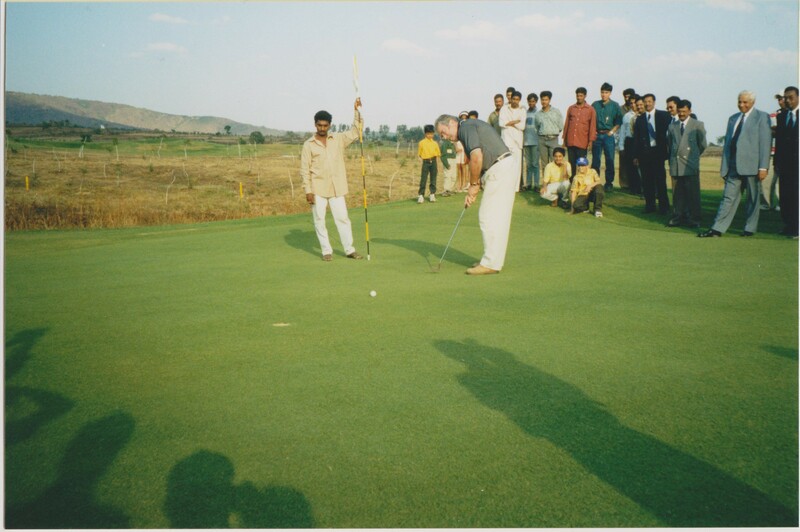 This 18 Hole private Golf Course project opened during July 1996 quickly establishing itself as one of the premier venues for golf in the region. 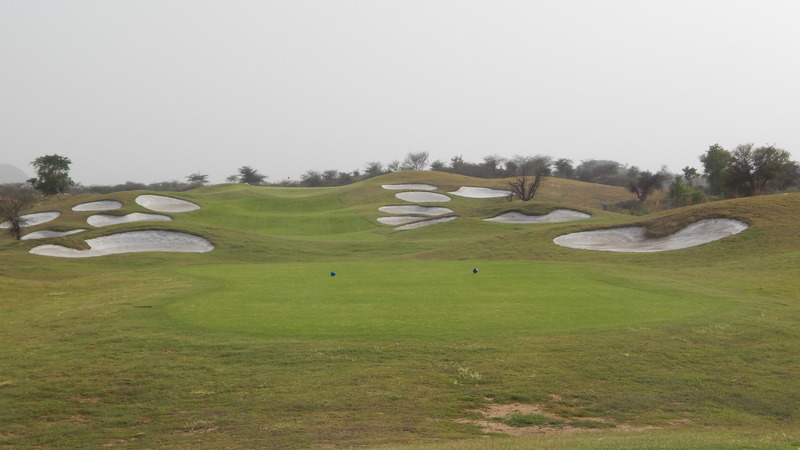 The Course is a Par 71, 5973 yard layout in “Links” style. 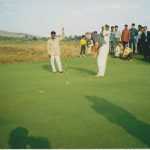 The course is one of the best maintained courses in India, and is one of the foremost clubs for promoting juniors into the game by providing everything for free for children below the age of 14. 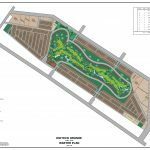 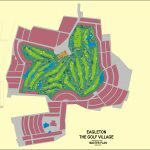 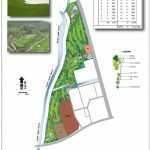 This 18 hole Championship golf course is being developed by the owners of the Eagleton Golf Village. 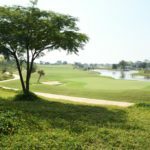 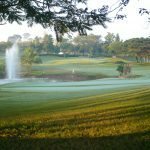 The course will be a wonderful undulating journey that both excites and challenges golfers as the make their way through the beautiful landscape. 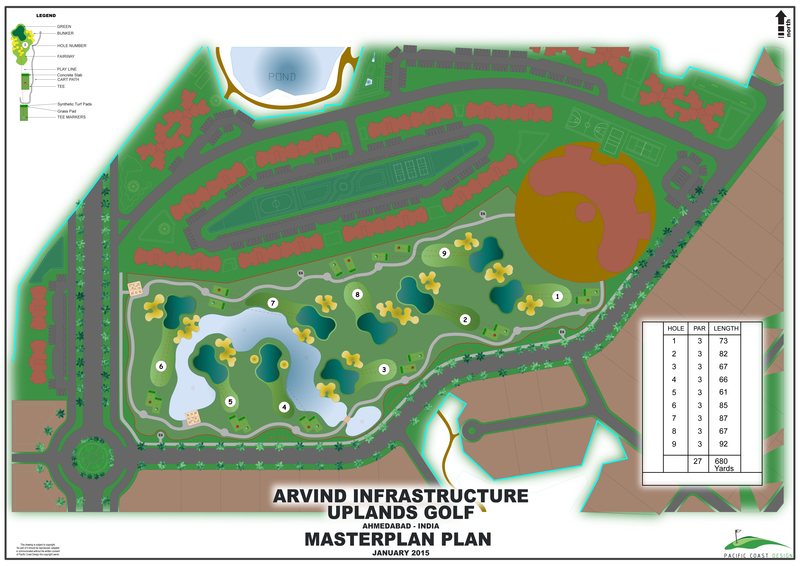 Uplands by Arvind Infrastructure is a 135 acre low density residential township on the outskirts of Ahmedabad. 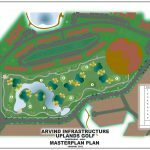 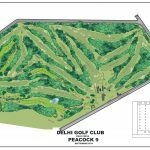 The site of the golf course is 9.2 acres plus 3.6 acres of Club facilities and will be PCD’s second “Community Golf” facility in India, a Nine hole / Par 3 golf course being the centrepiece. 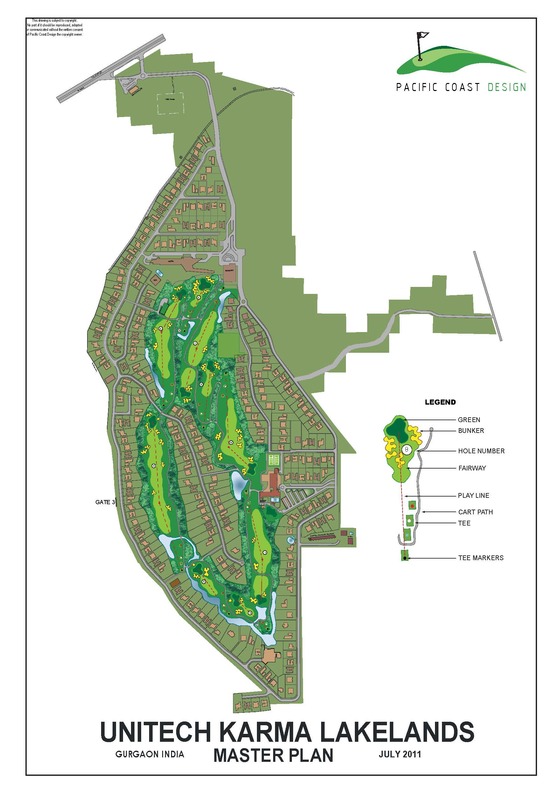 The Community Golf concept is simple in that it reflects the home of golf, St Andrews and closes the golf course at times so that the community can utilize the zone as open space / parkland. 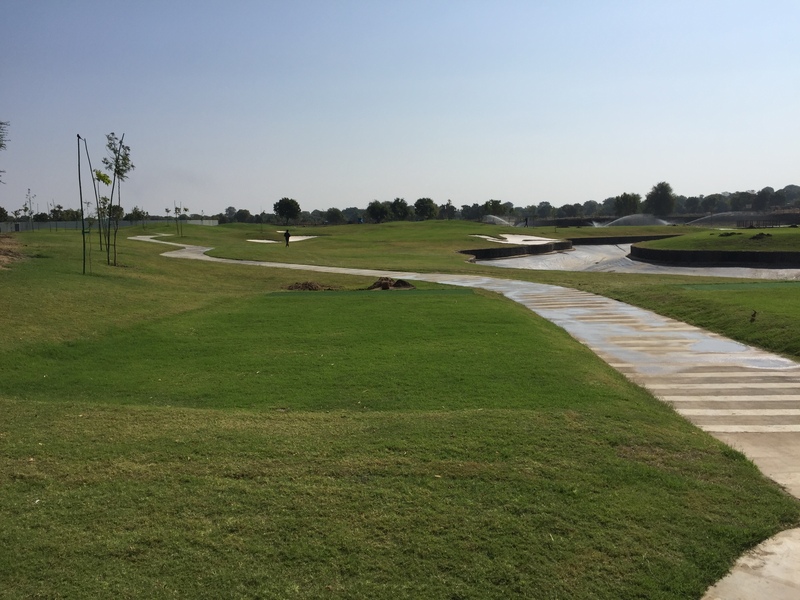 The course has an outside circuit of concrete path and this path not only provides a walking route for golfers but at specified times, also operates as a jogging / walking trail with 4 fitness stations located along the path. 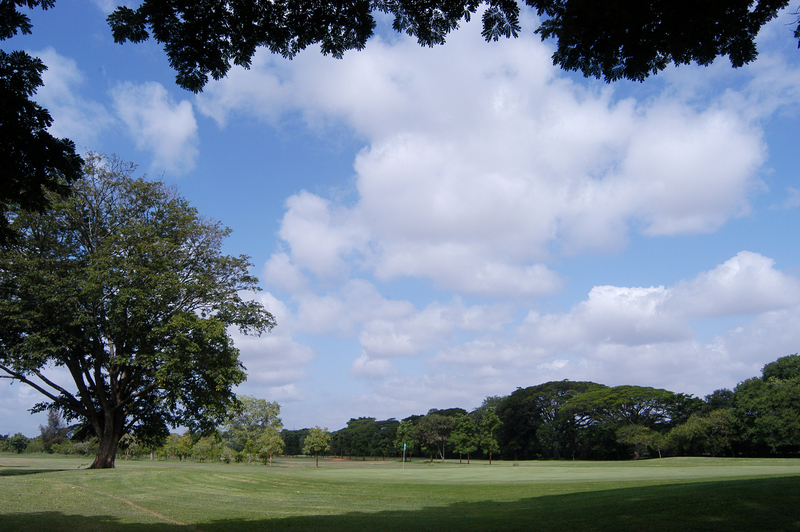 Fitness stations can be utilised by all the residents either walking or jogging the circuit. 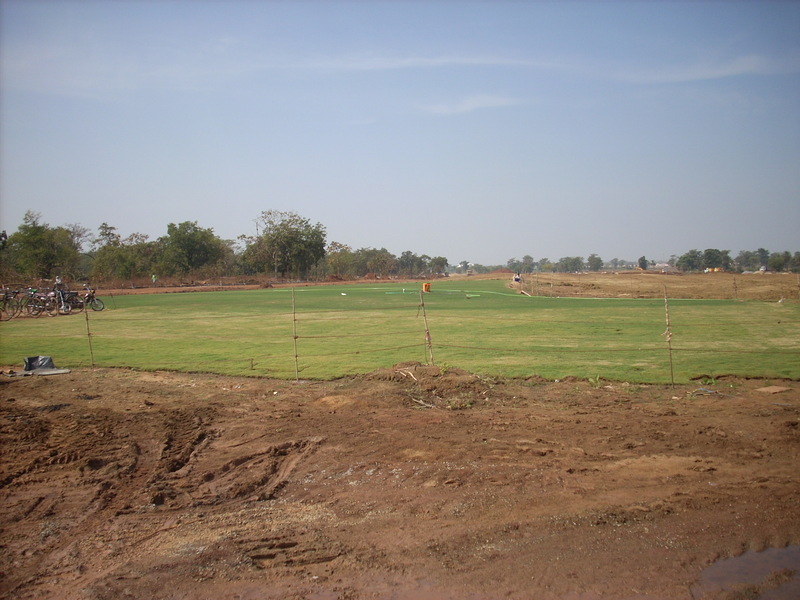 development of this facility will provide the community with a wonderful hub for both living and recreating in. 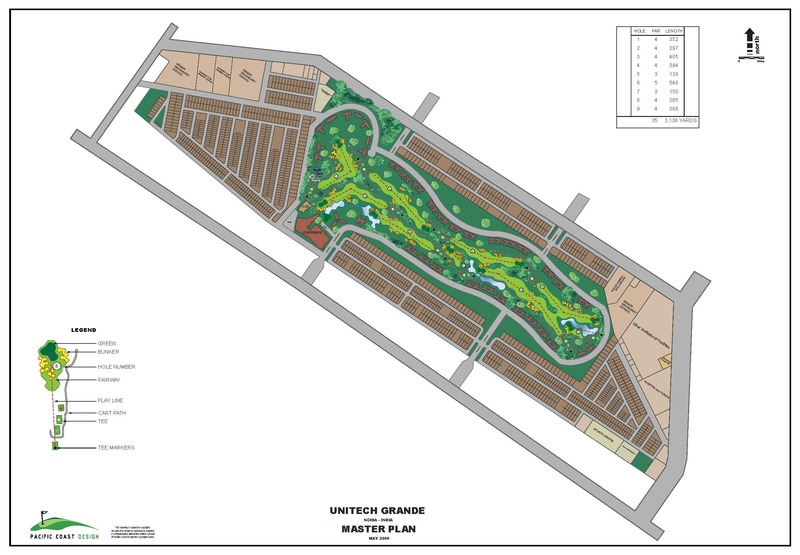 The Unitech group has developed the Unitech Country Club as part of a residential project across 347 acres of land in Noida (to the east of New Delhi). 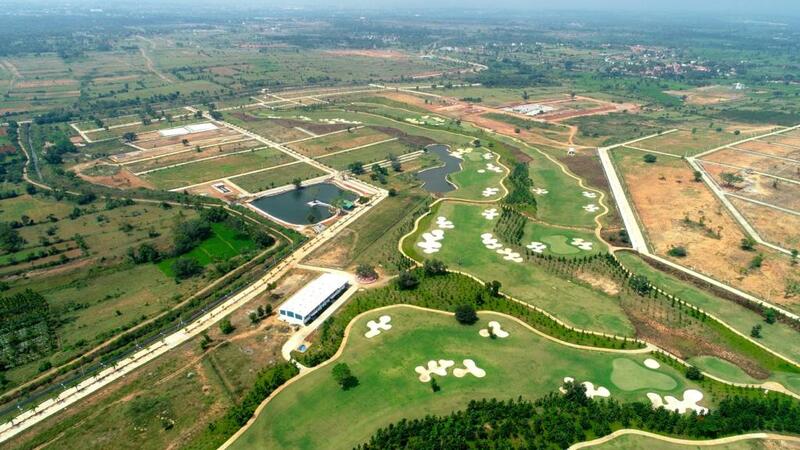 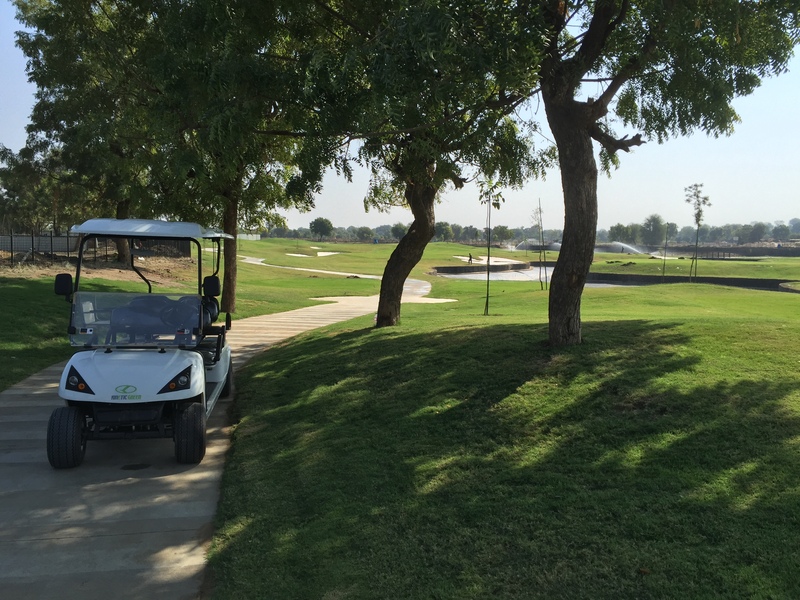 The nine hole PCD designed golf course stands as the developments centrepiece, alongside luxurious club area. 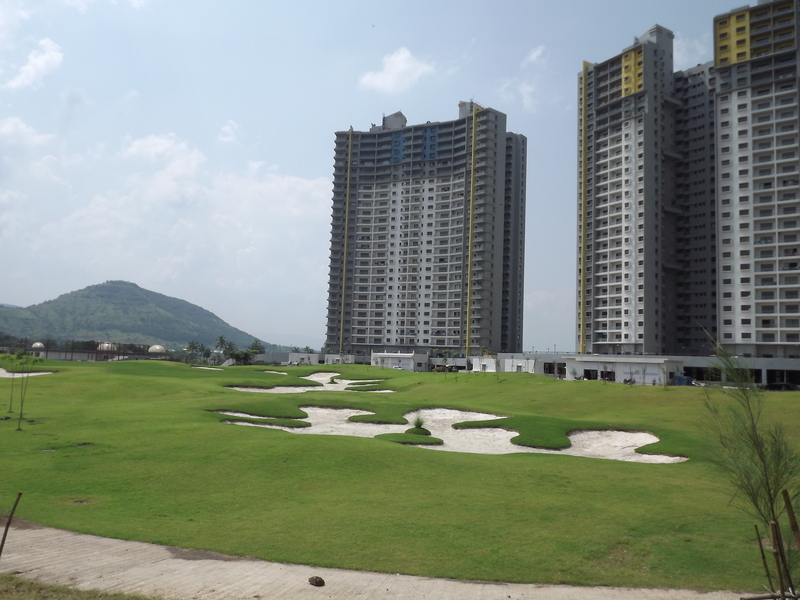 UCC includes multiple apartment towers from 20 to 30 stories high, giving nearly all residents a view over the golf course. 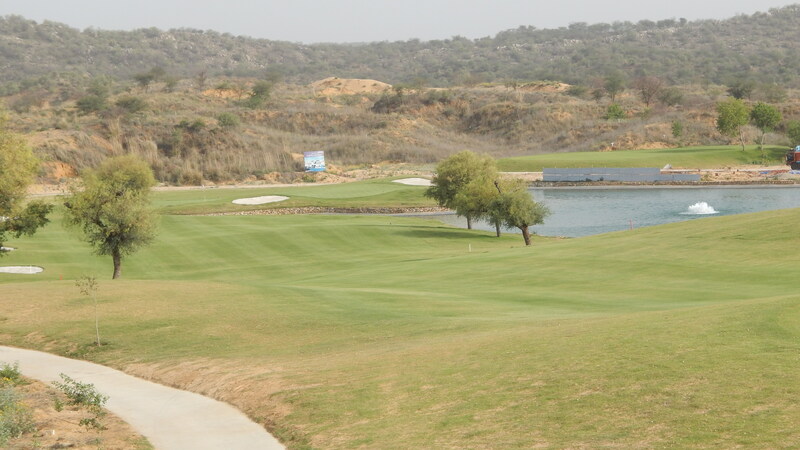 The golf Course is a Par 35 of 3136 Yards and utilizes a combination of unique bunkering, mounding and lakes to create a great strategic course which is a treat to play. 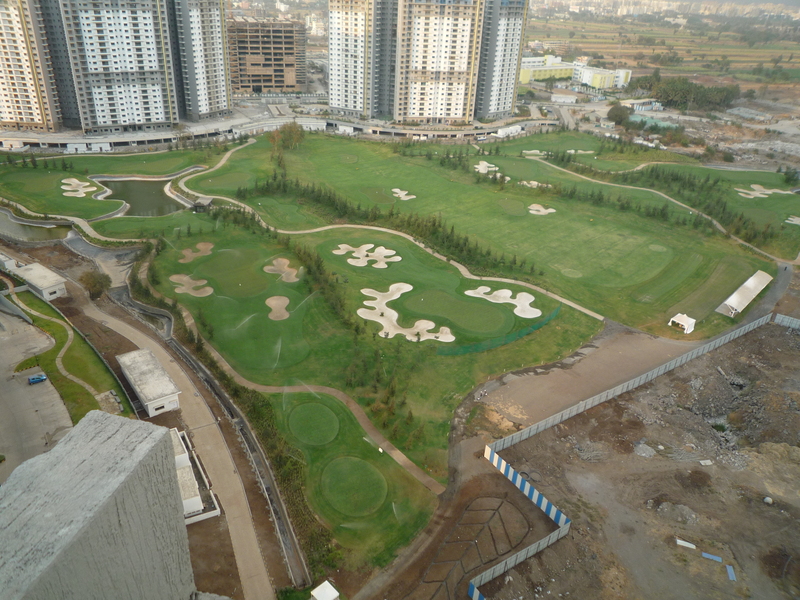 The golf course is fully lit for night golf and has set a new standard for high rise amenity in India. 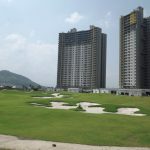 The course itself is a rolling adventure as the fairways roll and twist their way between bunkers mounds and the towering residential towers that surround the course. 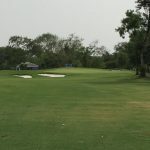 Each hole has its own identity and although length rarely becomes a challenge the accurate shot making required ensure the course is never dull. 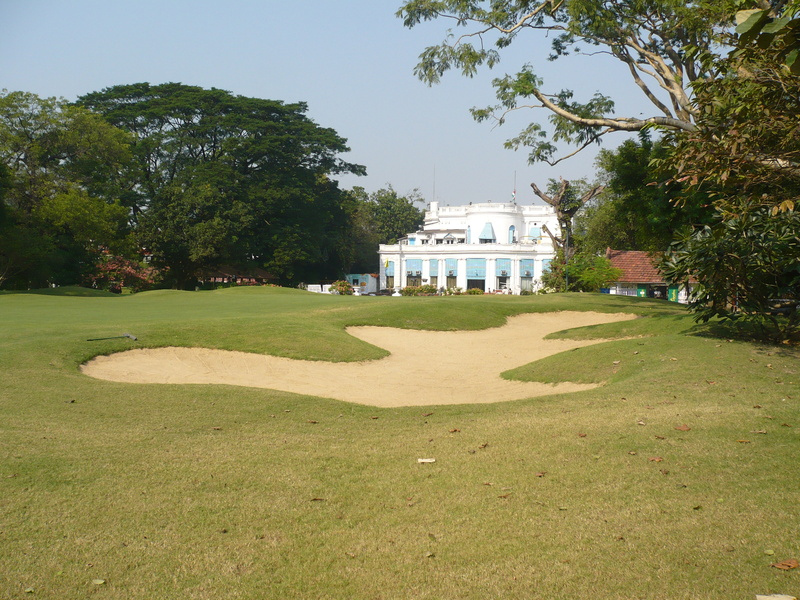 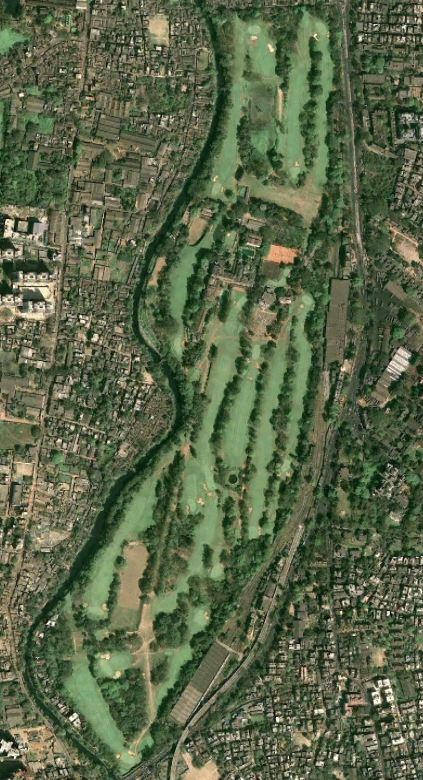 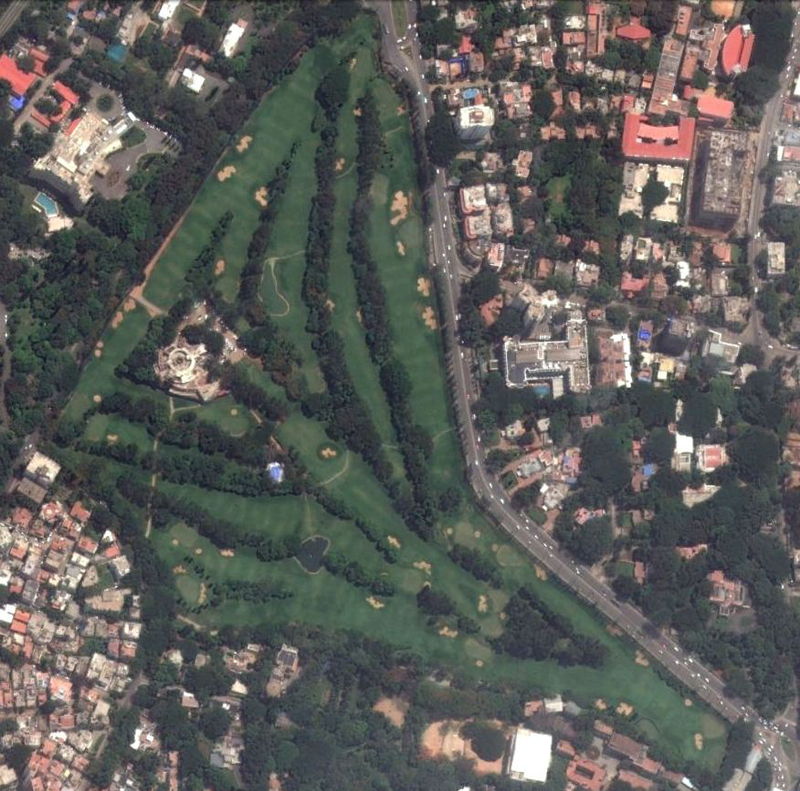 When Sir William Cruickshank acquired 100 acres of land just outside what was then known as Calcutta in 1895 and founded the Tollygunge Club I wonder if he envisaged that over 115 years later his vision would remain as one of the most unique golf destinations in the world. 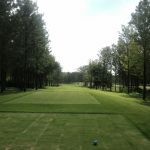 The golf course that meanders its way through century old trees, before finishing at a club house building over 200 years old is full of charm and a grace that is rarely experienced in modern golf. 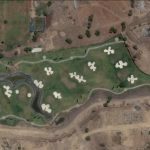 Over recent years, Golf Architects Pacific Coast Design have been charged with reviewing and updating the greens complexes. 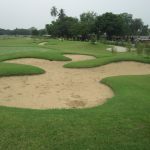 Given the changes in technology as well as greater demands of safety standards Pacific Coast Design have had to apply themselves at producing new greens and bunkering that relate to the modern game, enhance the golf hole strategy but retain the charm and unique feeling that is Tolly. 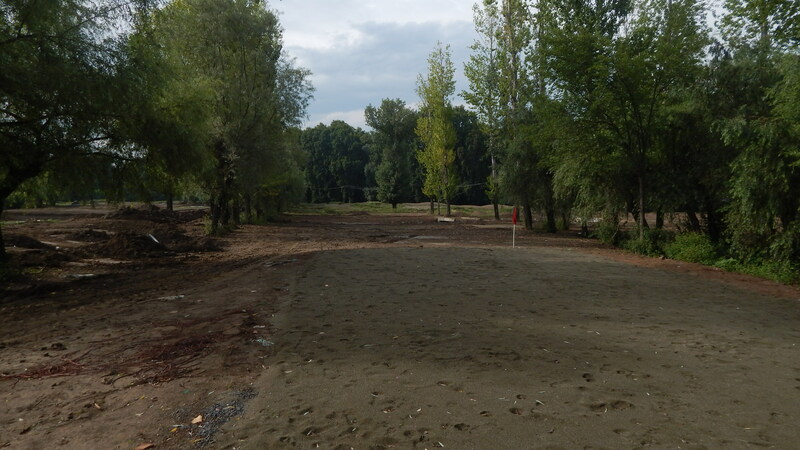 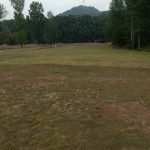 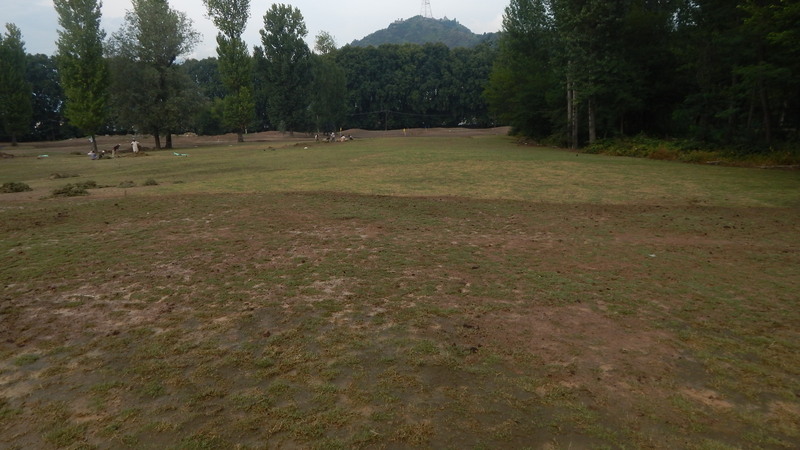 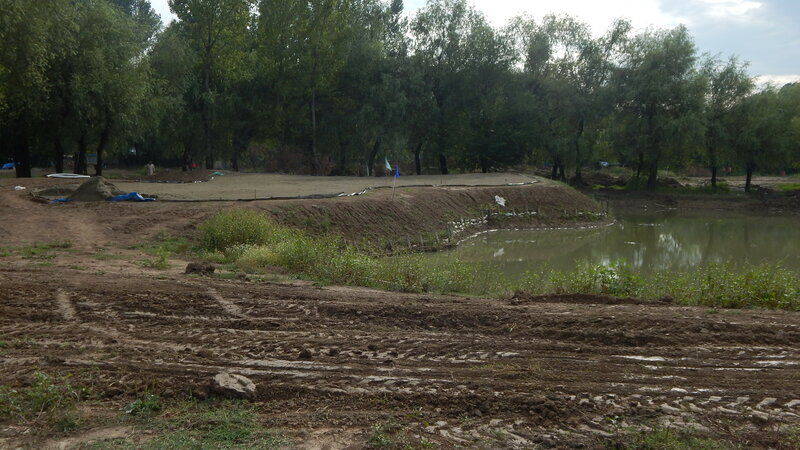 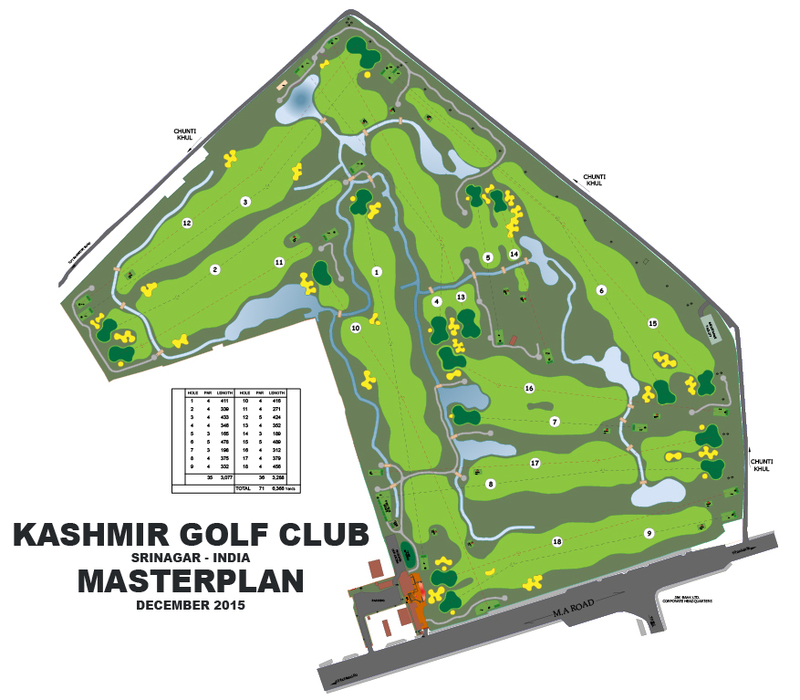 In 2015, a tender put forward by the J&K bank saw PCD appointed to redesign the Kashmir Golf Course which had been devastated during a major flood of Srinagar during September 2014. 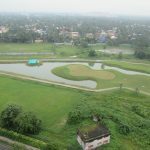 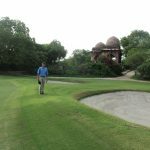 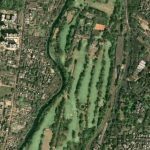 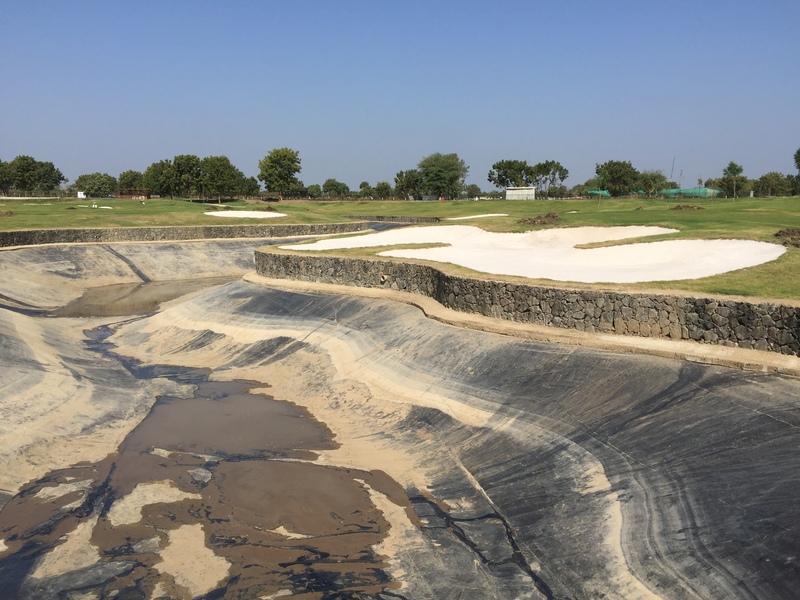 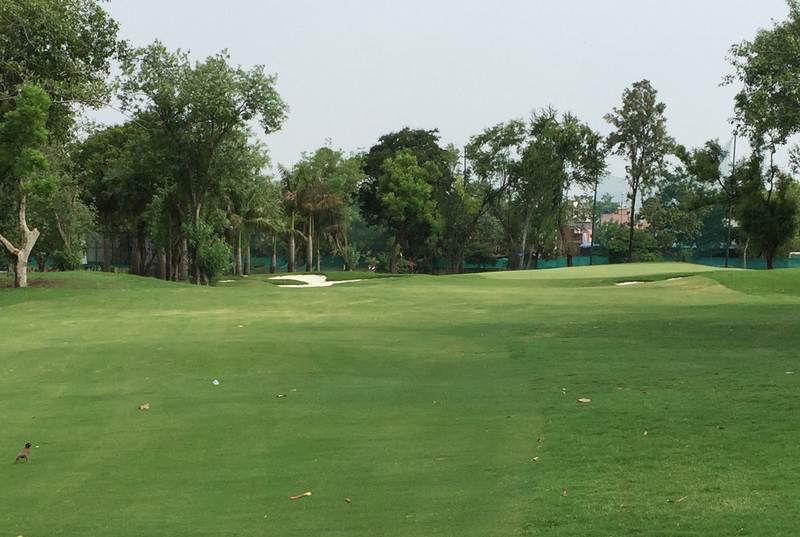 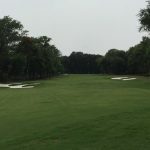 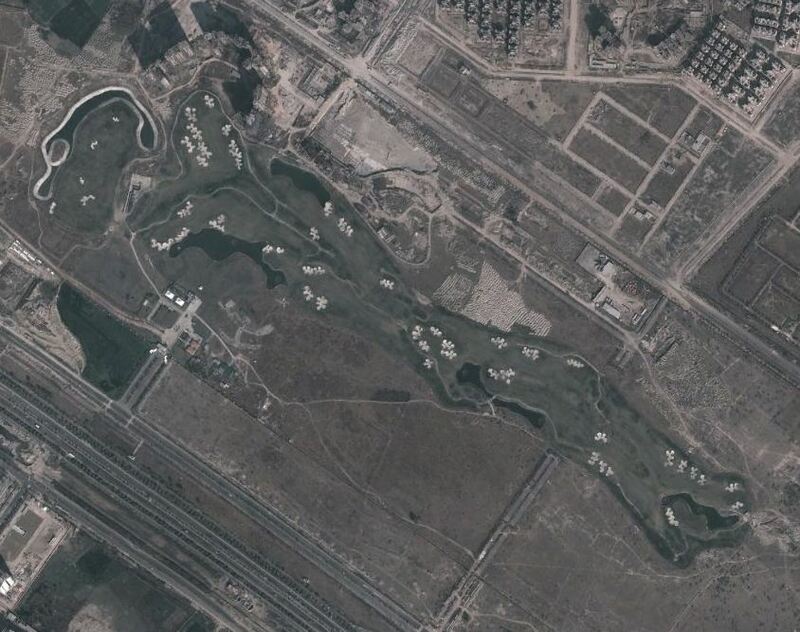 The Golf Course, which is credited as being the second oldest in India, was in need of complete redevelopment with an emphasis on raising the course level and significantly improving drainage. 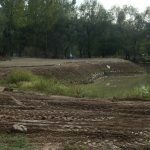 In May 2016 the reconstruction work began and is anticipated to take around 12 months to complete. 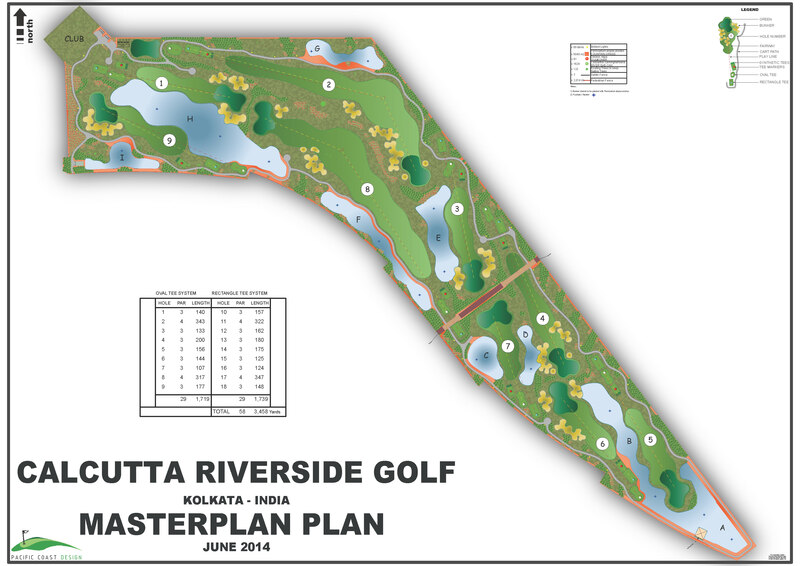 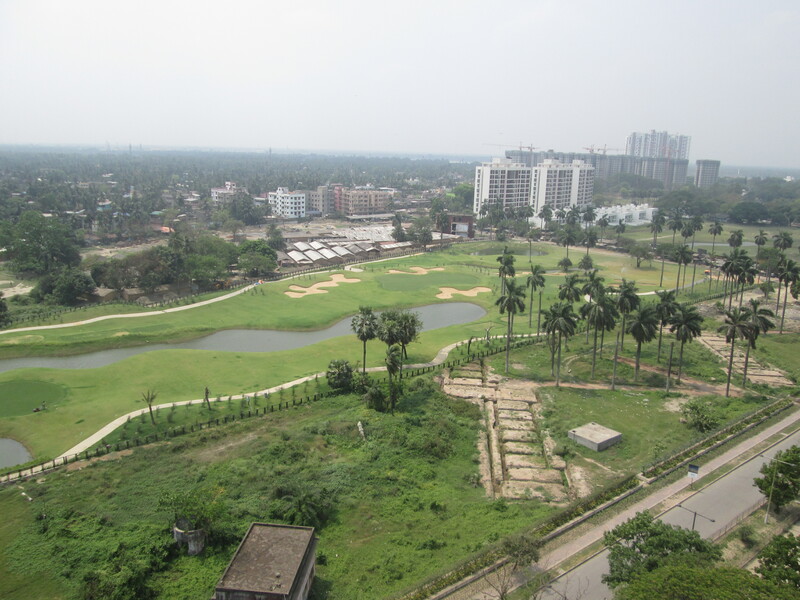 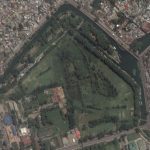 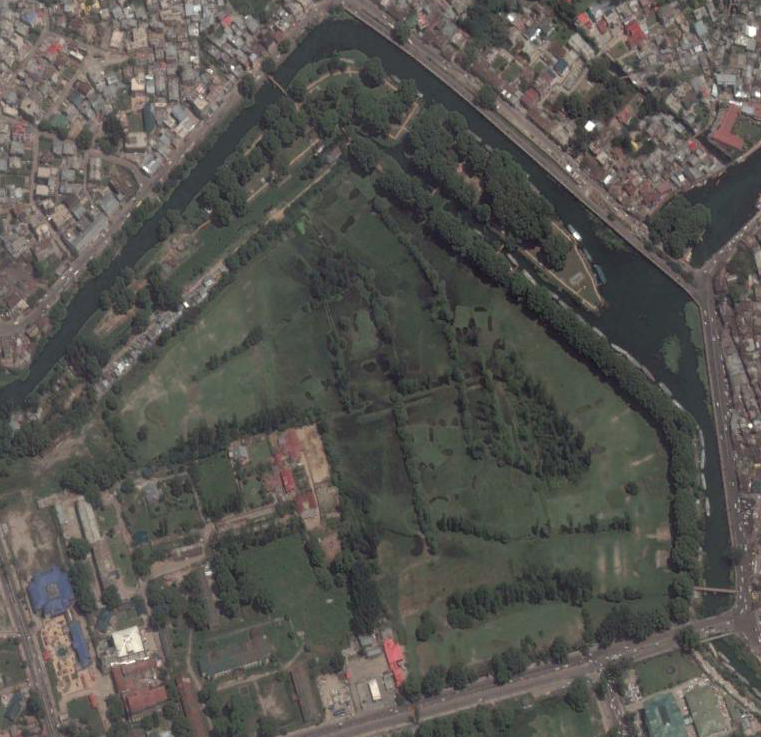 Kolkata is home to India’s oldest golf club, but Calcutta Riverside will be the first golf project in the city for over half a century. 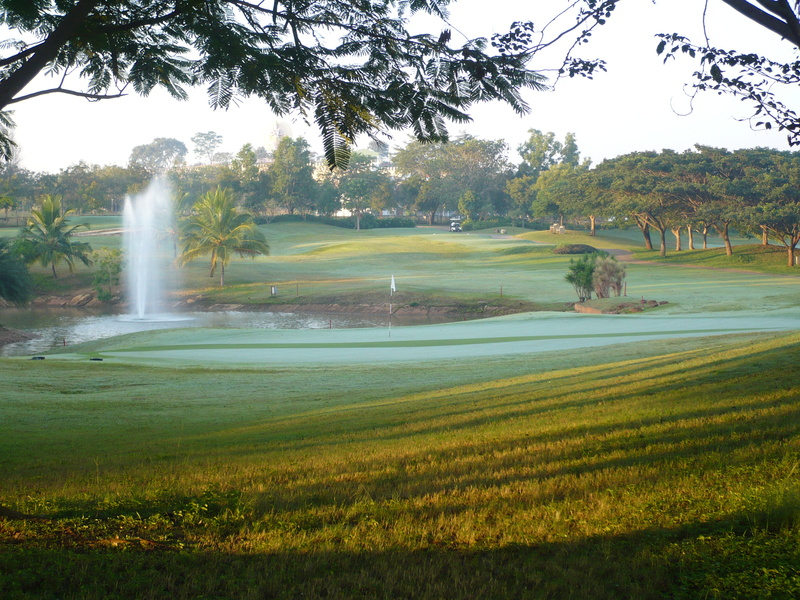 This 9 hole golf course features several tricky par 3 holes and 2 short par 4 holes. 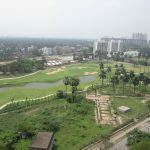 Combined with an exciting residential precinct Calcutta Riverside should introduce a new market to the wonderful game of golf. 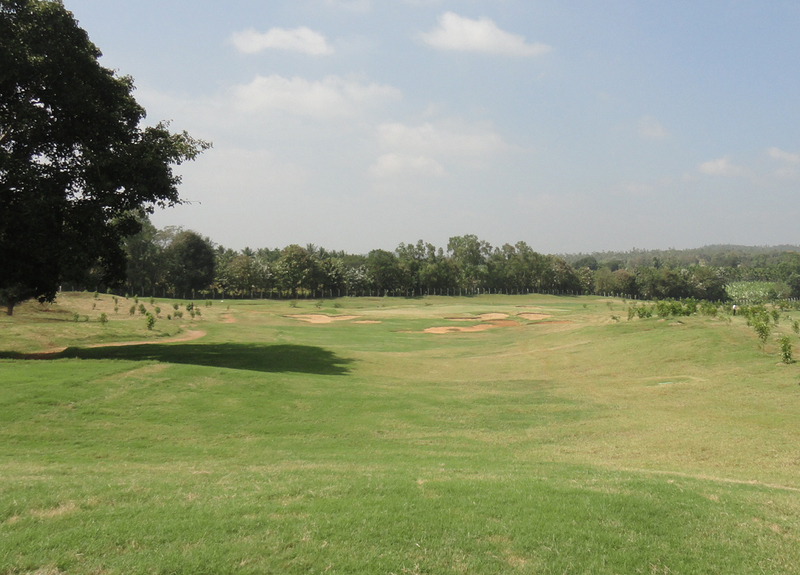 This 9 hole project is Shimoga’s first exposure to golf and combined with real estate it is certain to be an attractive lifestyle opportunity. 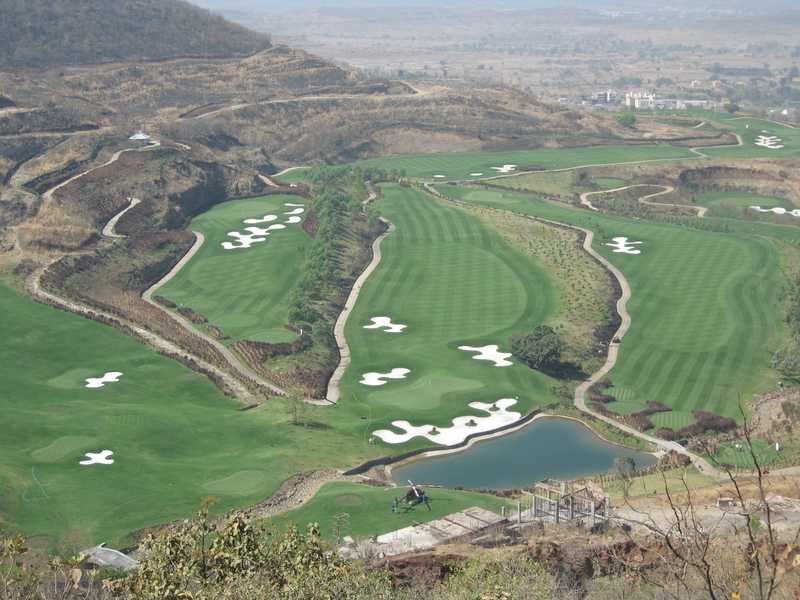 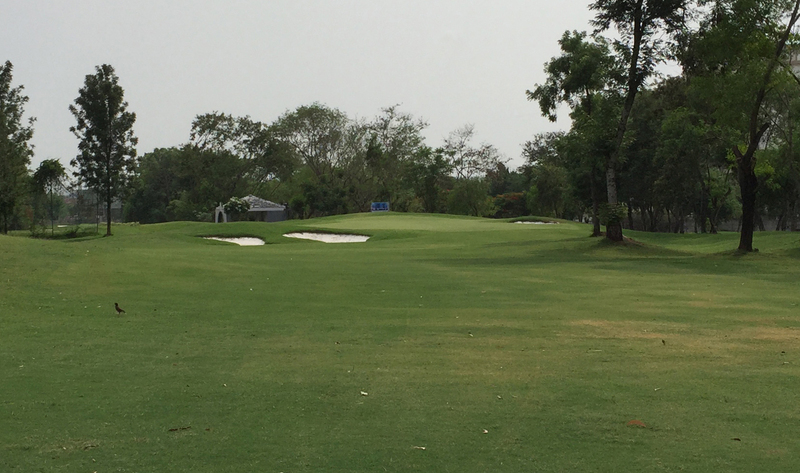 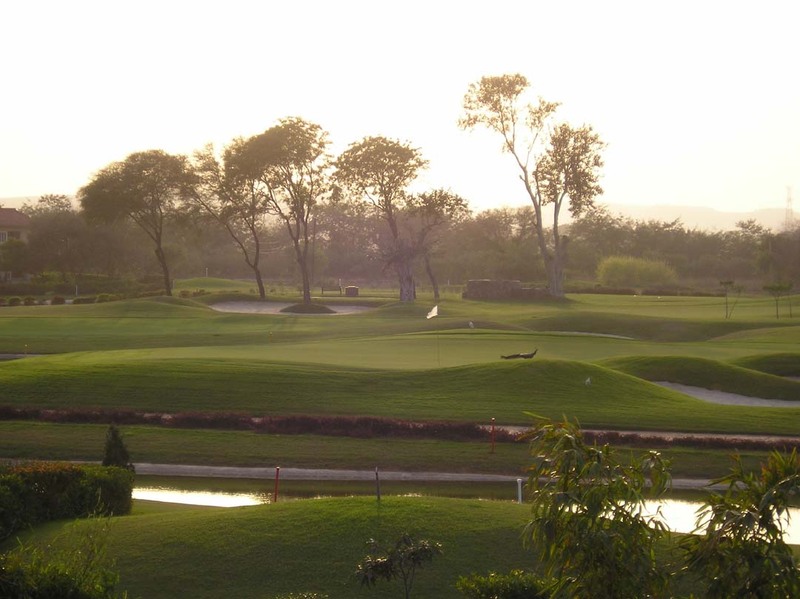 The course is a complete golf experience including one of India’s only island par 3 golf holes. 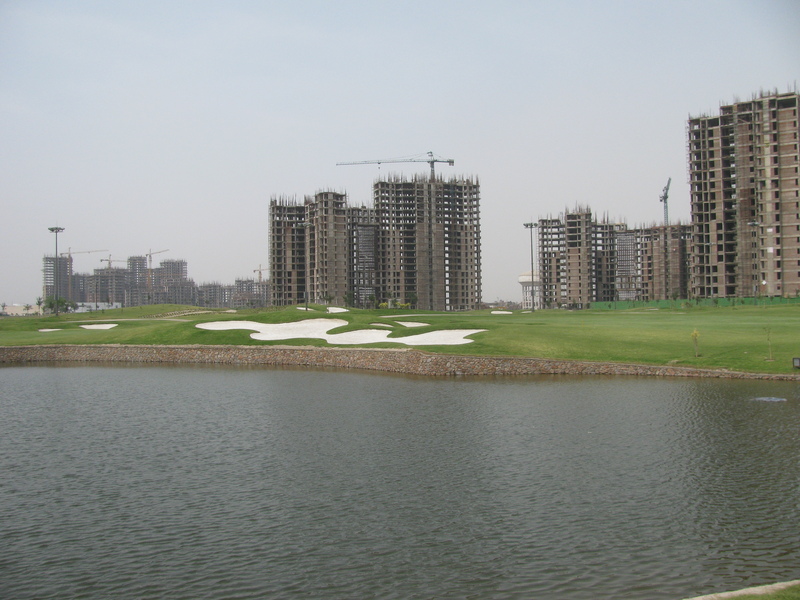 India Bulls Golf City is a luxury apartment project on 350 acres of land near Savroli, near Navi Mumbai. 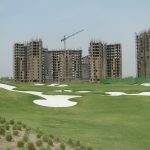 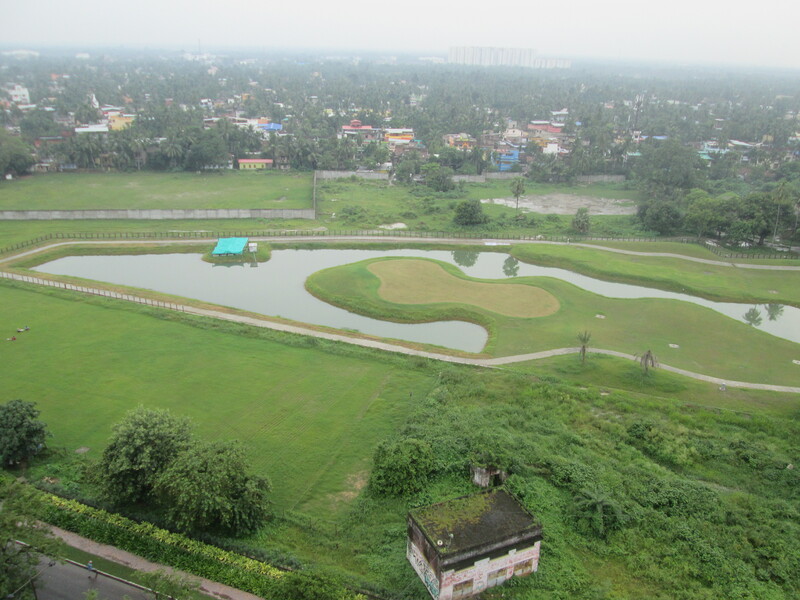 PCD has designed a planned 18 hole Par 3 / Community Golf Course of which four holes have been completed along with the Apartments in stage one (2016). 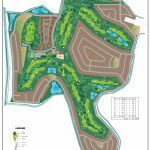 The community will be a mixture of 1, 2, 3 and 4 bedroom apartments with the Par 3 golf holes winding their way through the various sections, with returning nines leading to a Clubhouse set on the high point. 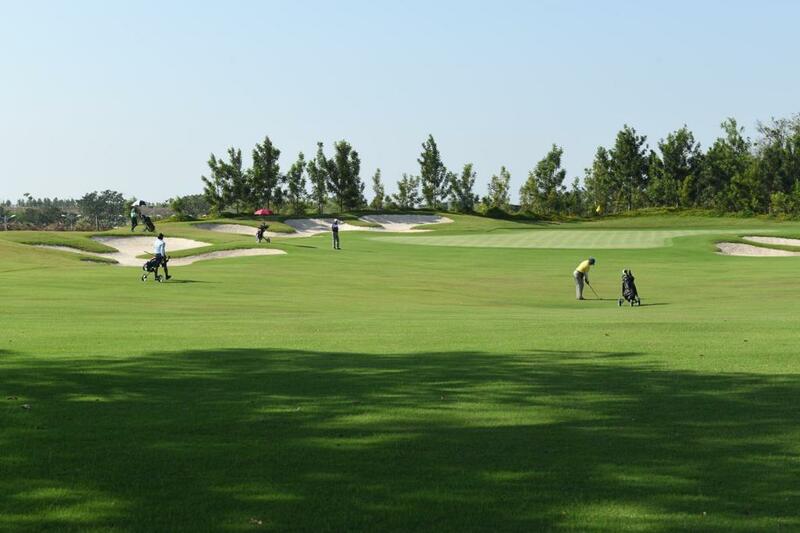 Like all community golf courses the golf acts as “open space / parkland” when not in use for golf and so is an integral part of the overall development. 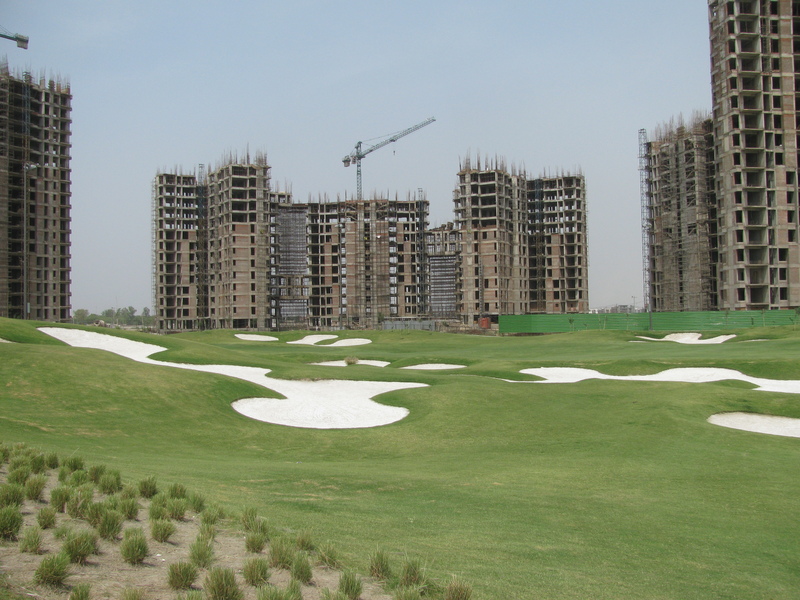 The DDA embarked on a bold new development in the Delhi sub-city of Dwarka. 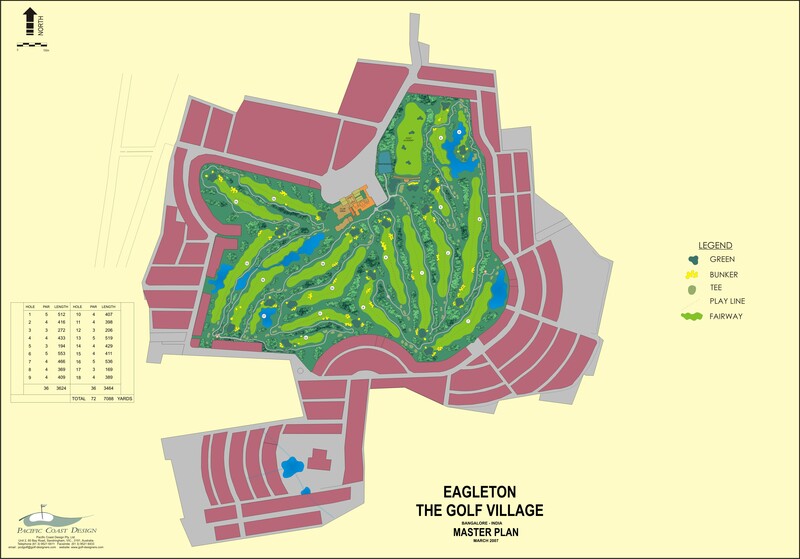 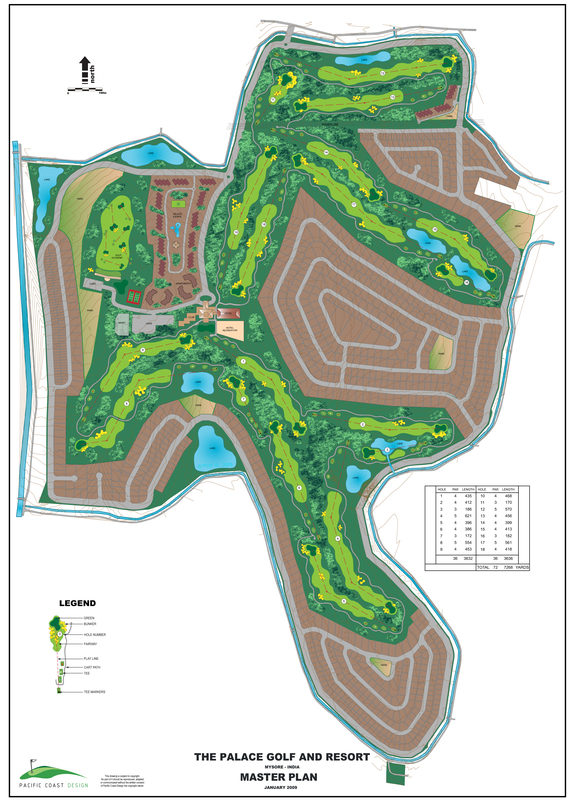 The vision: an international standard 18-hole course including a golf academy and associated first-class amenities. 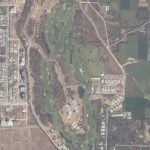 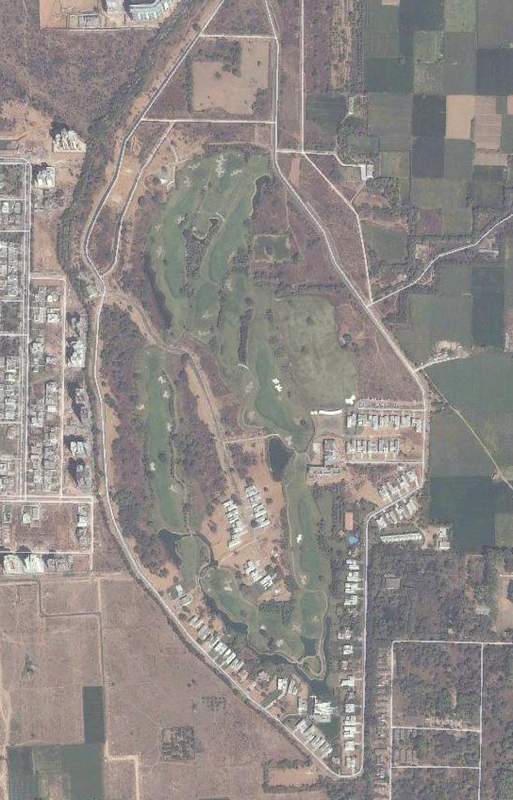 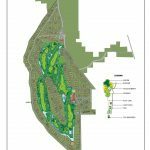 The DDA advertised for interested consortia to design and project manage the golf course, and received proposals from at least 40 different parties. 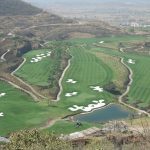 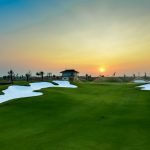 Following an intense interview process, the consortium of Pacific Coast Design, New Millennium, Rajinder Kumar Architects and Global Golf India were awarded the contract. 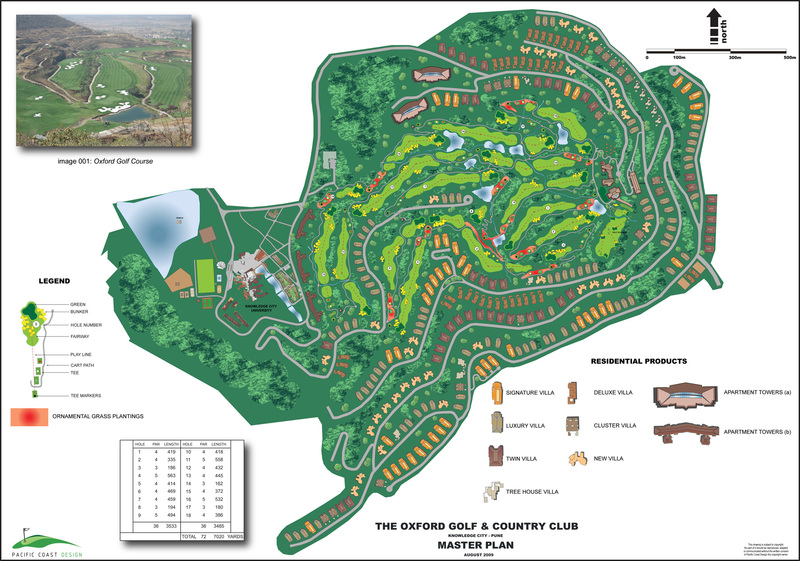 The golf course is an 18-hole, 7,300 yard challenge that features the best of modern strategic golf course design. 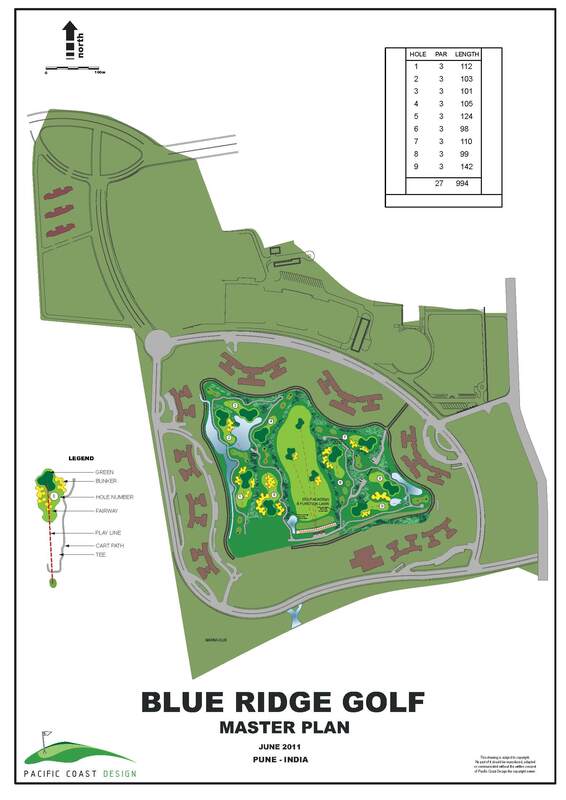 The project also includes a golf academy incorporating a 9-hole short-shot training golf course. 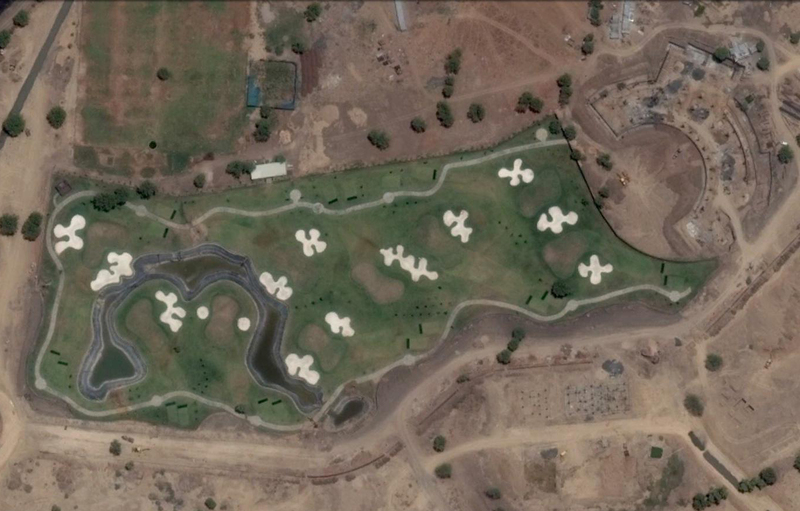 All of the facilities are designed to be lit for night golf, and will be fully irrigated using recycled water. 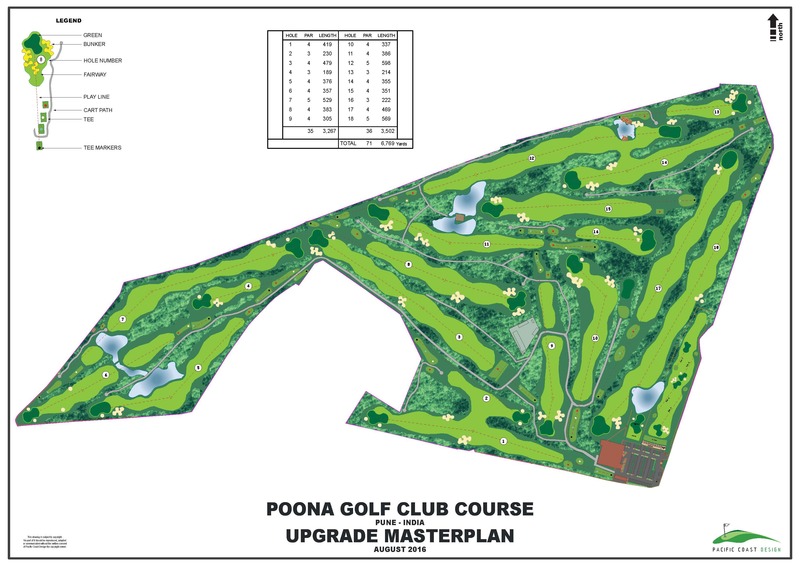 This 9 hole par 3 layout will feature full length par 3 holes and an exciting golf experience. 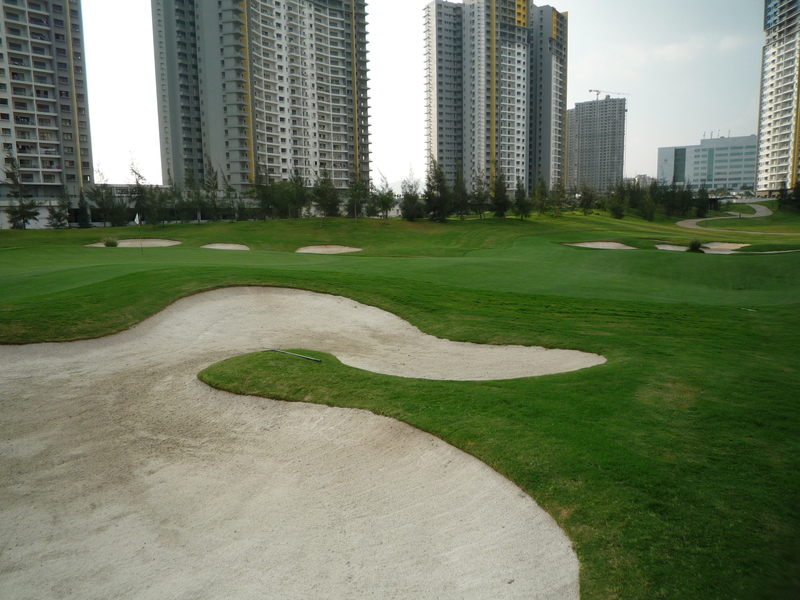 The course is has been designed as a bold, challenging and fun golf course. 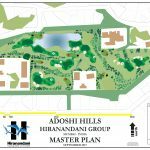 Being part of this Hiranandani township project the course will also be part of a community facility while the views from 400m above the surrounding valleys will be quite spectacular.